The castle was constructed in different building phases and has thus acquired its current appearance over the course of nine centuries. 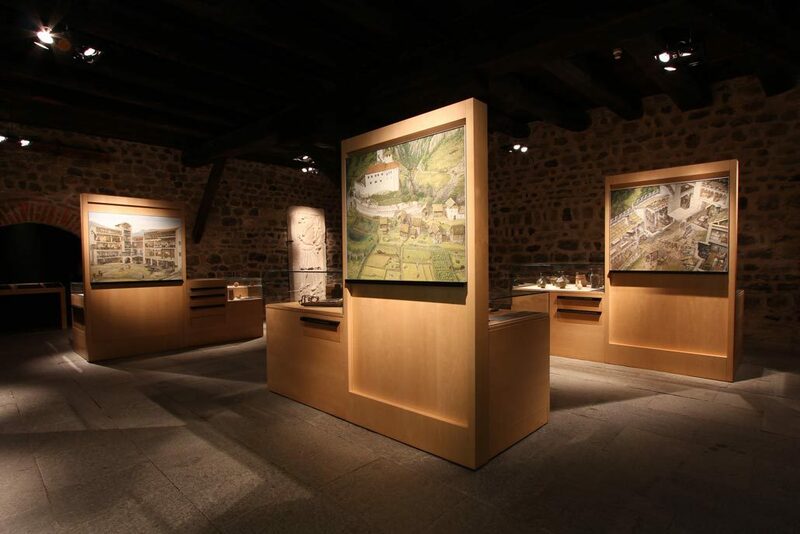 The first phase of the building complex took place in the 11th century, whilst the South Palace was reconstructed in the 12th century with an additional storey, and further extensions in the 13th century. 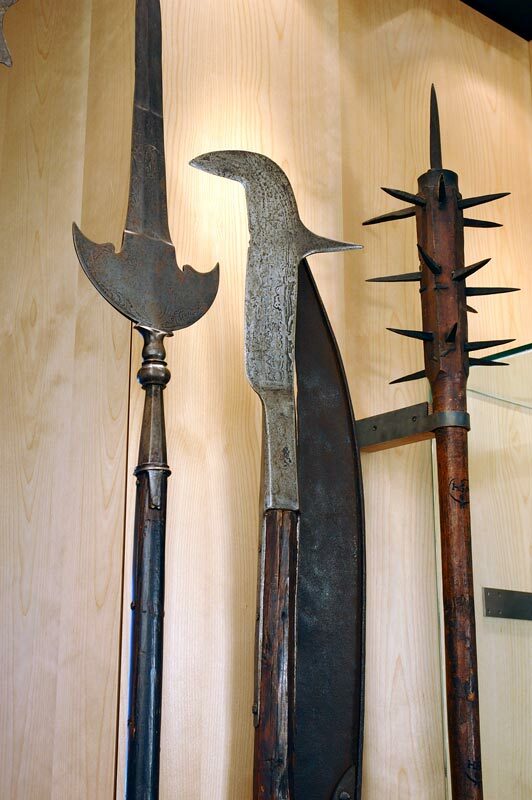 Some of the most decisive alterations were carried out in the 19th and 20th centuries. 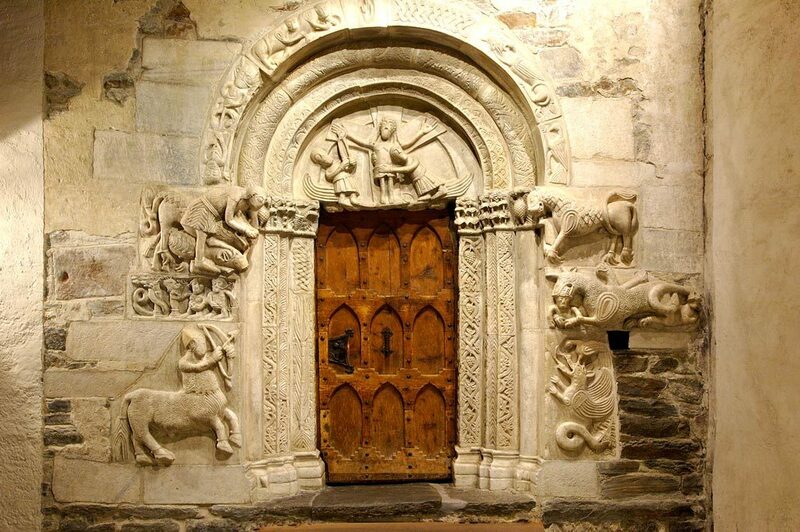 One highlight of your visit will be the Romanesque portals which were carved by stonemasons from Lombardy. 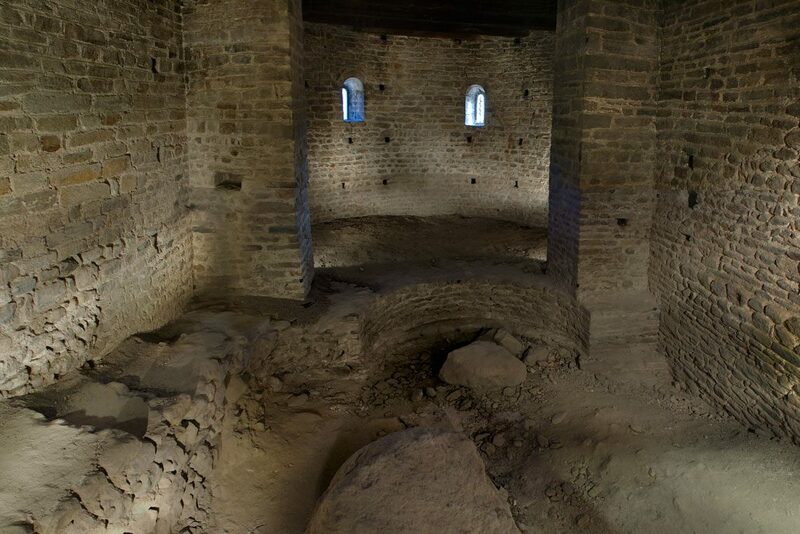 You can also visit the medieval double chapel, the magnificent Knights’ Hall which was used for celebrations and symbolic occasions, the dungeon in the Keep, and the panelled Refectory. 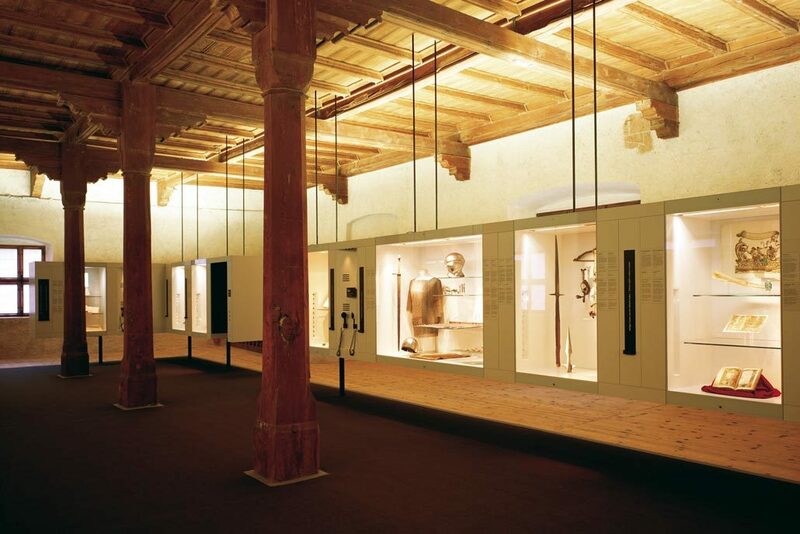 Countless exhibits provide insight into the life and the cultural and regional history of Tyrol from earliest times to the present. Outer Bailey. There is evidence for the presence of human activity on the castle hill from the Copper Age onwards, whilst evidence points to continuous settlement from Roman times. 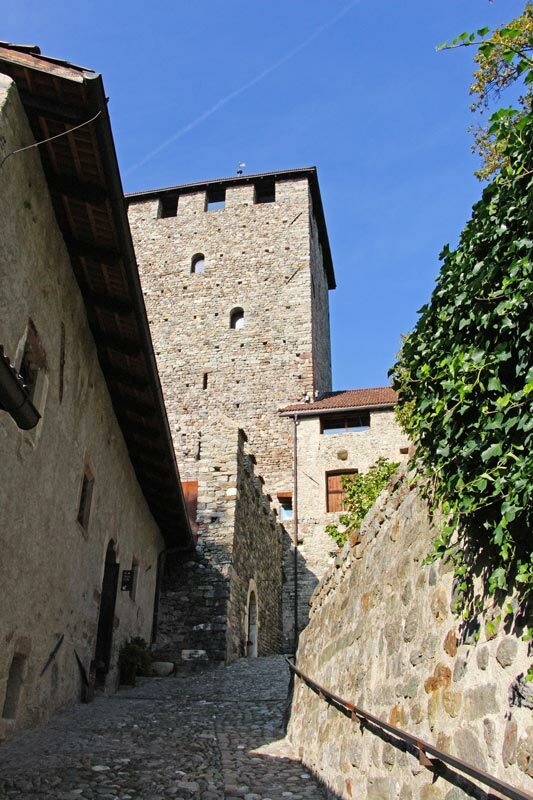 In the Middle Ages the upper outer bailey was filled with buildings used by the domestic servants and craftsmen who guaranteed the castle’s self-sufficiency. By contrast, the lower outer bailey was the site of a fishpond as well as the stables where the rulers’ horses were kept. 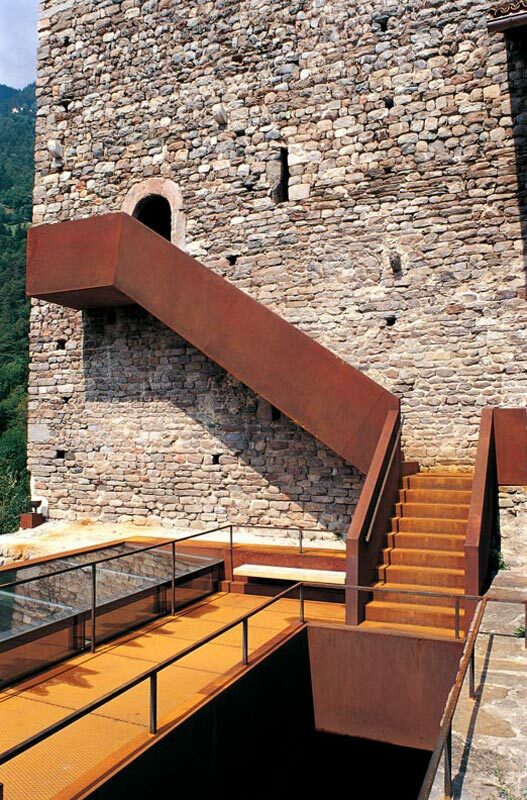 The Outer Bailey was given a make-over in 2001 with the contemporary installation by the artist Gottfried Bechtold from Vorarlberg in Austria, and which illustrates the course of human development. 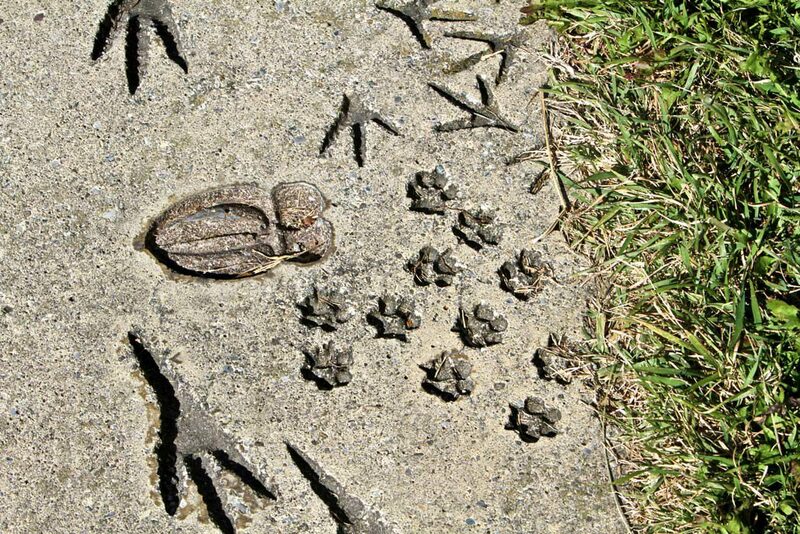 This “Bechtoldweg” (Bechtold Path) features a wide variety of imprints made in the surface of the path, including Margarete’s bridal cup, tracks of native animals and the contemporary tyre tread marks from a mountain bike. The castle hill, from which one can enjoy a wonderful panoramic view, was not only of strategic importance, but also of symbolic importance, for it served as a safe place above the boggy valley floor. 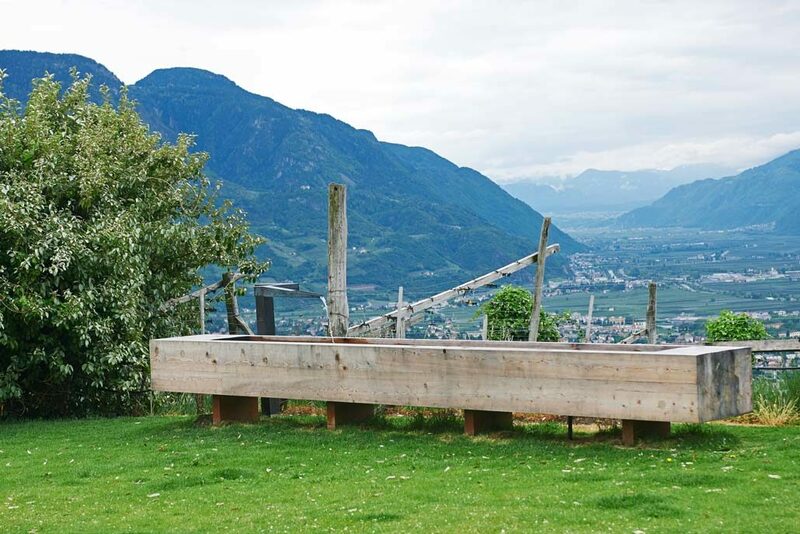 Even the origin of the word “Tirol” can be traced back to this hill, which was described as “tir”, Indo-European for “dry”. Church excavations. 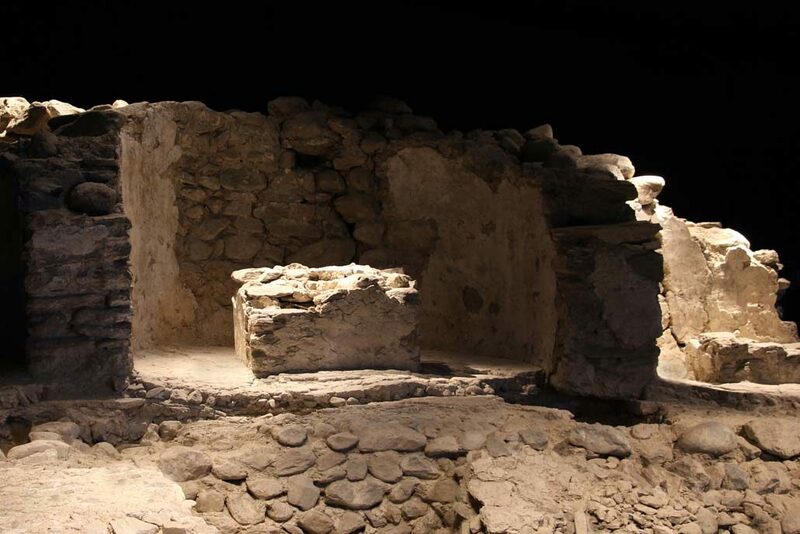 A first early Christian aisleless (single nave) church was built over the remains of a Roman building. Around AD 600 the building was extended with a rounded apse. Between the 10th and 11th centuries this church was rebuilt as the second church on the site with three apses and a west porch, and this church remained in use until the early 11th century. 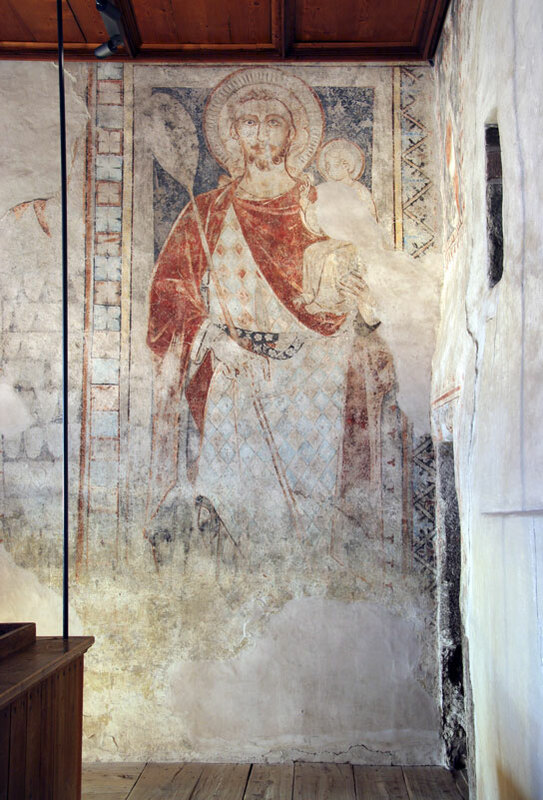 The interior of the church was decorated with wall paintings, of which only a few small fragments have survived (for instance in the Crypt). There are also some bronze earrings from a 7th/8th century tomb. Lobecena’s gravestone, south portal, church with apse, 7/8 c. A gravestone slab with carved inscription was recovered from the aisleless church with apse, the inscription referring to “Lobecena albada” (Lobecena dressed in white), almost certainly a girl who died in childhood, buried in her christening robe. The burial place behind the choir screen, an area normally set aside for the clergy, suggests she came from a high-ranking family. Perhaps Lobecena was the daughter of a Langobardic (Lombard) or Bajuwaric (Bavarian) ruler. 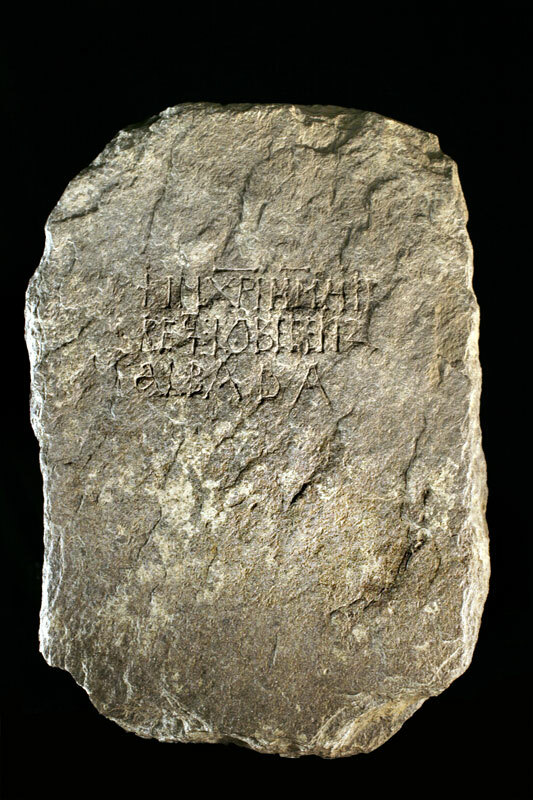 Lobecena’s gravestone is exhibited in the Temple. The Inner Bailey consists of the South Palace with its adjoining chapel, the East Palace, the Walkway, the Refectory, the Refectory Cellar, the Keep, the Kitchen Yard and the service buildings. 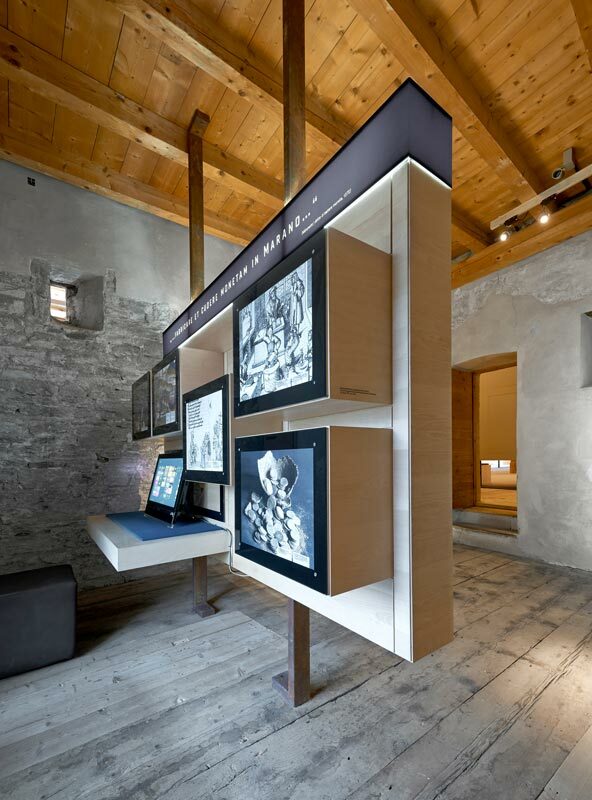 The exhibition tour illustrates aspects of the history of Tyrol from its early beginnings through the heyday of the castle in the Middle Ages, to its decay and restoration and right up to the history of South Tyrol in the 20th century. 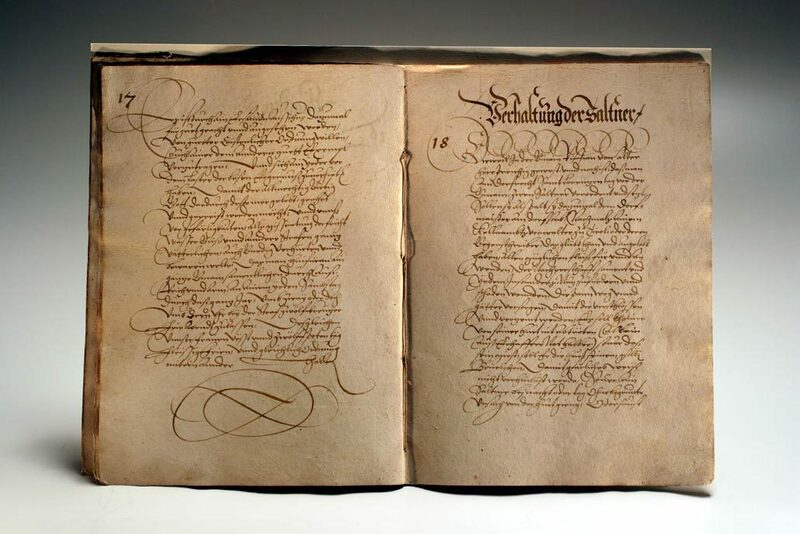 Special attention is given to daily life in the medieval castle as well as the system of law and order in the Middle Ages and the early modern age. 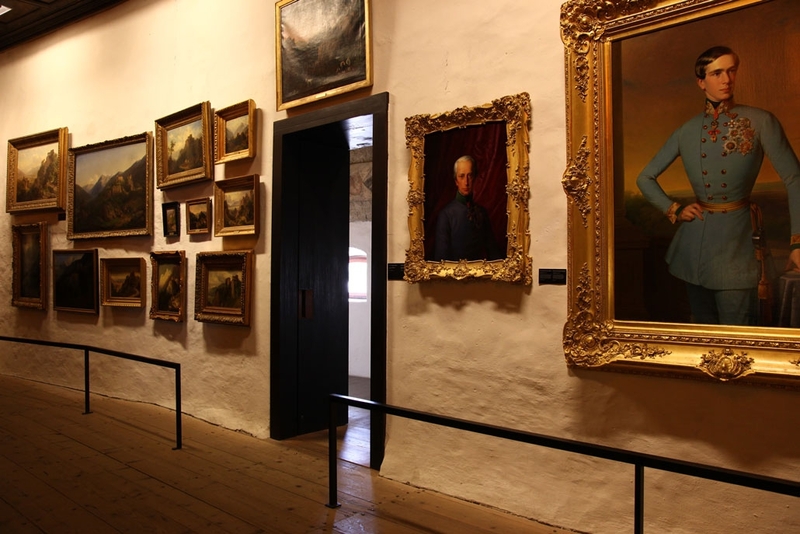 Three rooms in the former service wing are available for themed exhibitions and temporary exhibitions. 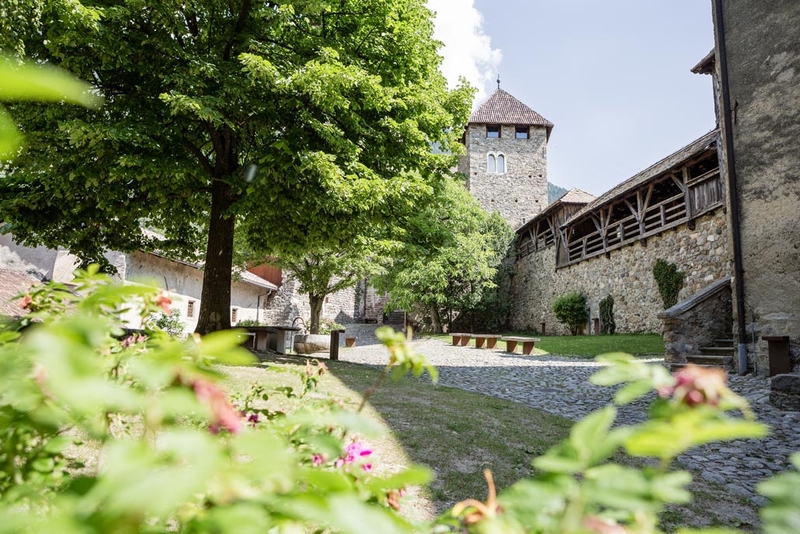 The inner courtyard with the shop and the café is a green oasis where you can linger in the shade of the trees by the plashing fountain, read, take refreshments or simply relax. Your four-legged friend is only allowed entry in a pet carrier, available for hire at the till. 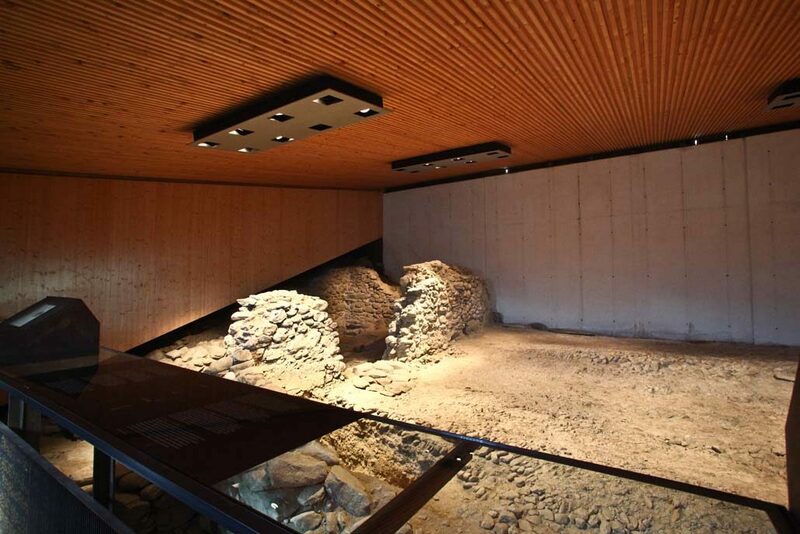 The Temple is principally dedicated to the archaeologically rich surroundings of Castle Tyrol. 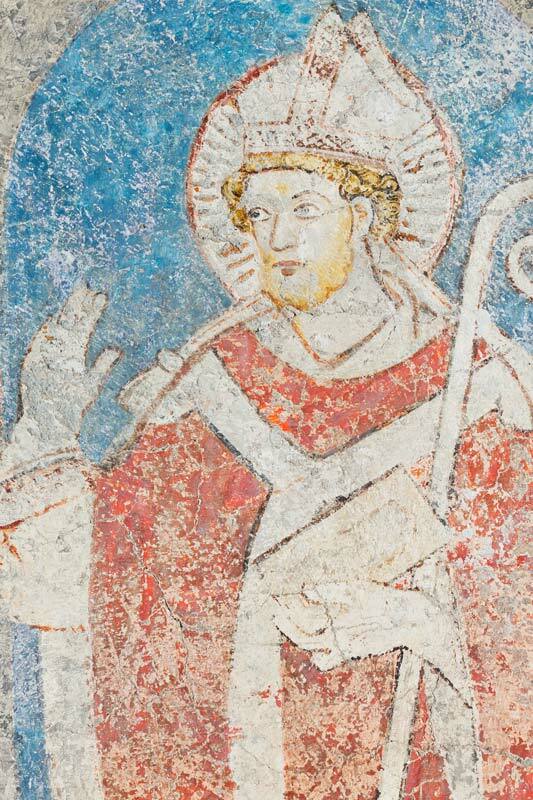 The early medieval stucco fragments from S. Pietro sopra Quarazze and the discoveries made during the excavation of the church on the Outer Bailey are incredibly rare and valuable. 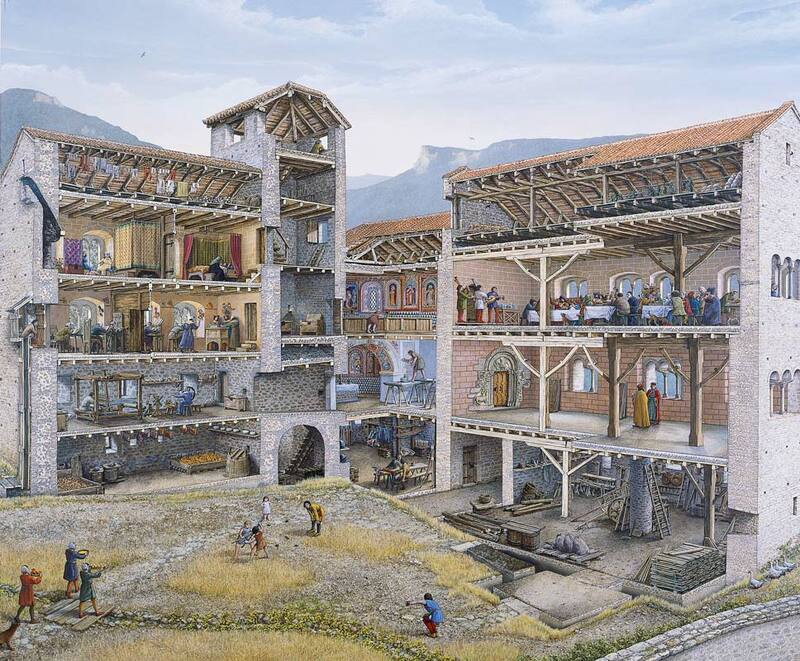 The different building phases of Castle Tyrol are also presented as themes, showing the main features of its structural development. 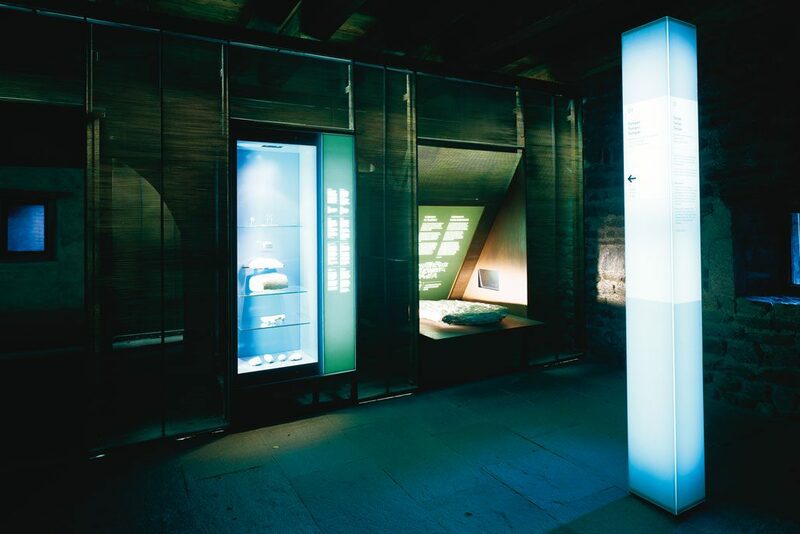 The castle treasury used to be in the Crypt, and Margarete’s “bridal cup” used to be kept in these rooms, along with valuable fabrics and other magnificent heirlooms. 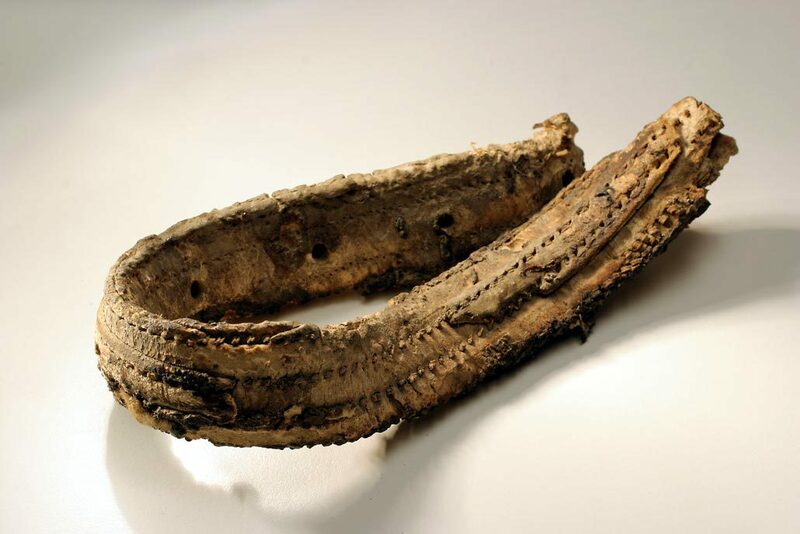 In the holes left from scaffolding in the crypt, archaeologists also found the fragment of a brigandine (a form of body armour) which is now displayed in the Emperor’s Hall along with a facsimile copy of the bridal cup. 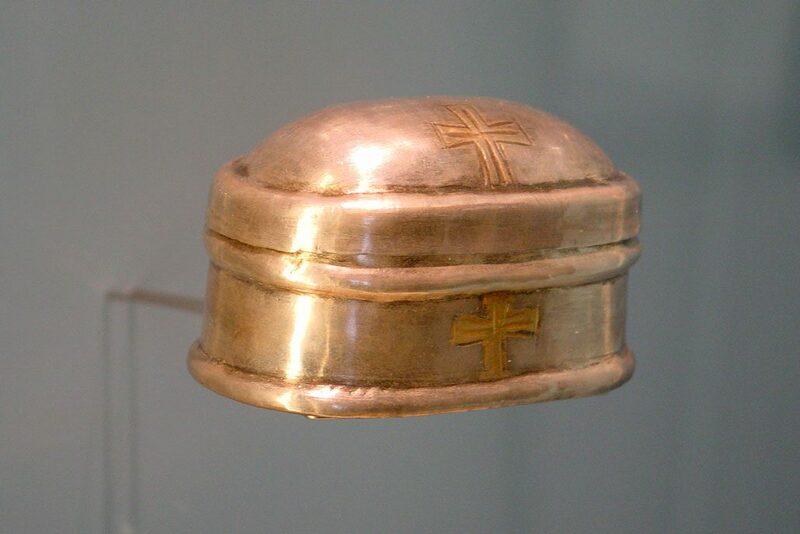 Marble reliquary and silver pyx, 5th/6th c. In 1994 a reliquary chamber with a small marble sarcophagus was discovered in the church on the Outer Bailey which dates from the 5th/6th century. In the sarcophagus there was a silver reliquary pyx with a fire-gilt cross, which contained three reliquary pouches wrapped in silk gauze. 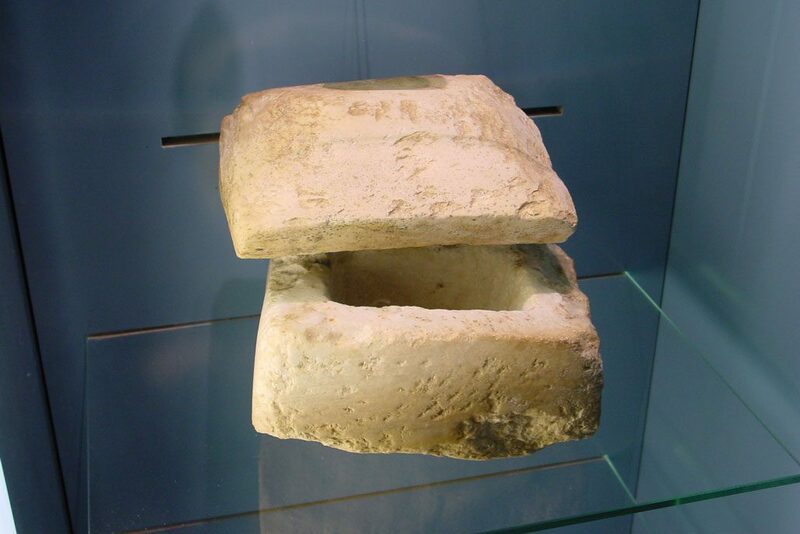 Evidence suggests that these are relics of the missionaries Sisinnius, Martyrius and Alexander who died as martyrs on the Val di Non in 397. Status and power. 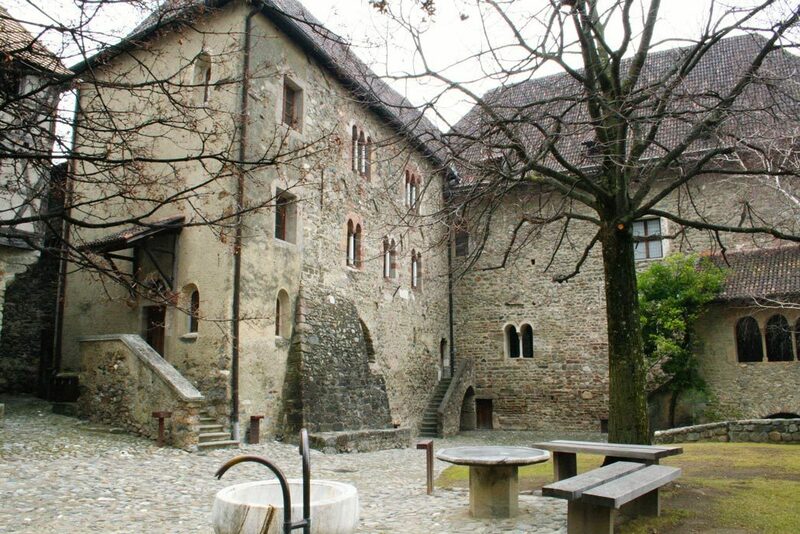 This is where the Counts of Tyrol received their guests, administered justice, celebrated feasts and took their meals. 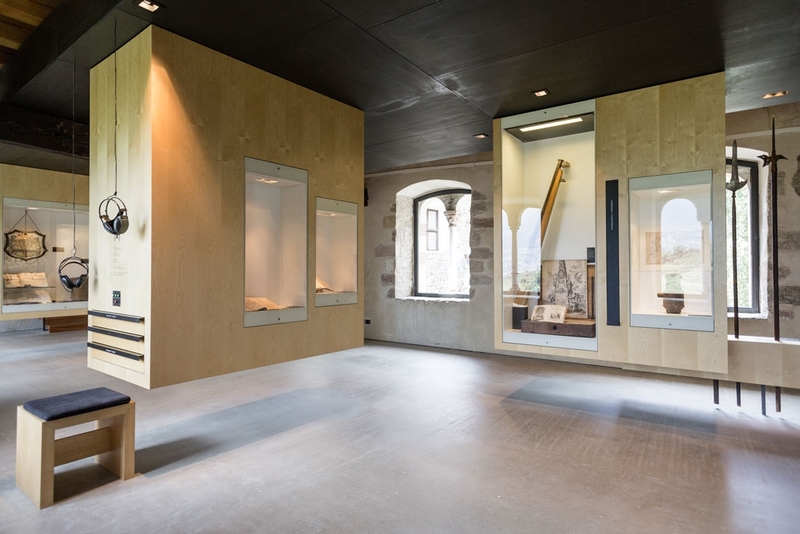 The museum concept is that there are no installations in the Knights’ Hall so that it can be used for concerts and events. 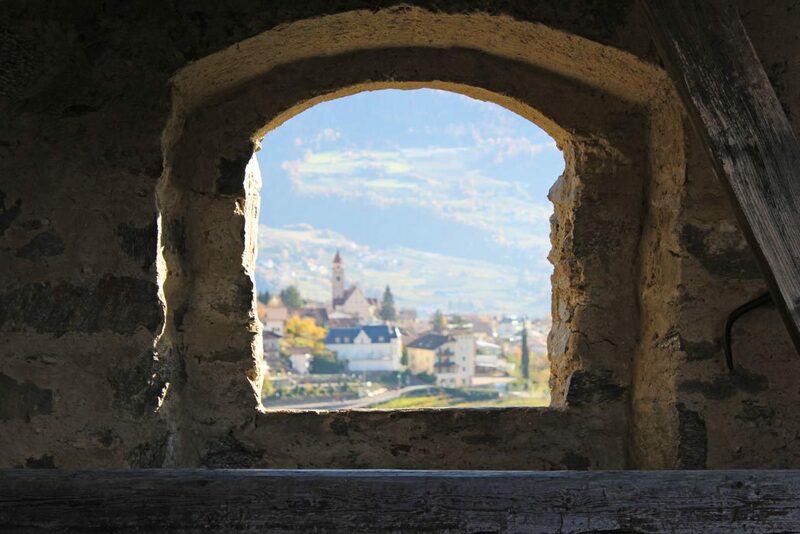 If you look out from the podium through the large triple-arched window into the landscape below, you will have a breath-taking view over the Adige Valley and the heartlands of the County of Tyrol. 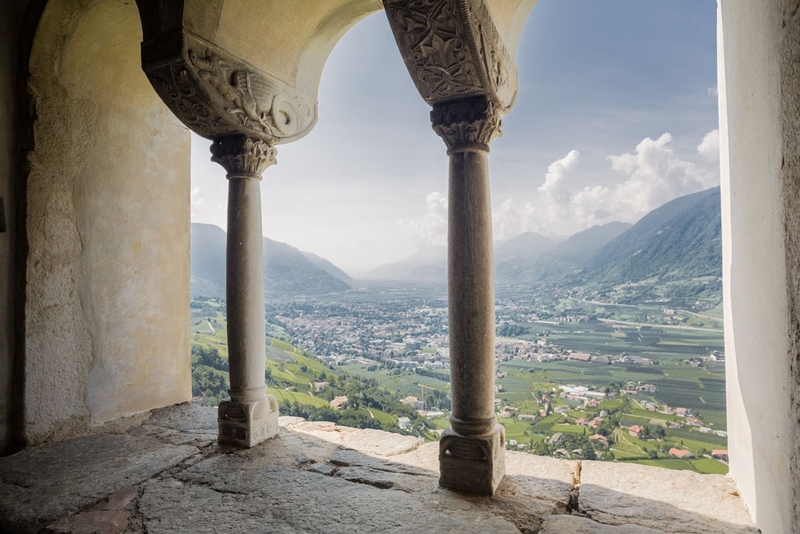 The famous topographer Beda Weber described this view in 1838 as follows: “The windows open up to the luminous vista of the broad Adige Valley, nature’s own giant colosseum, where Castle Tyrol took pride of place on the most favourable spot, like a tiny lodge […]”. 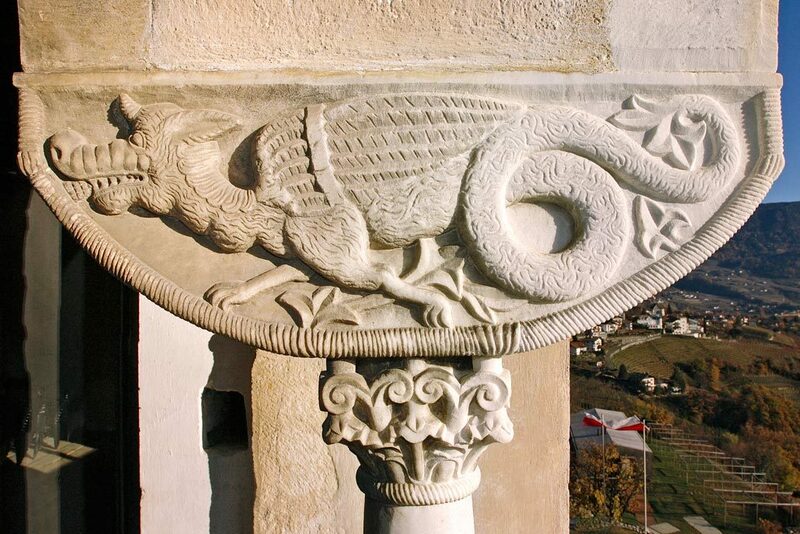 Capital, dragon. 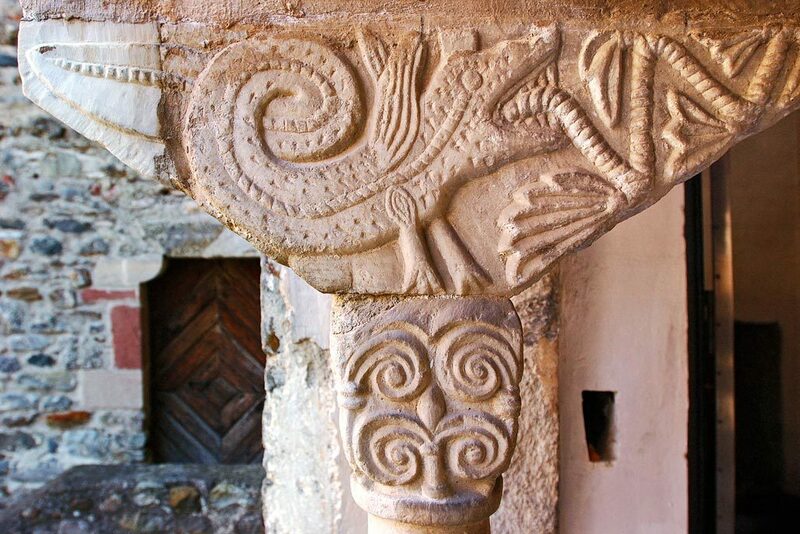 The rich sculptural designs on the capitals of the pillars in the Knights’ Hall along with the two marble portals are ranked amongst the major works of Romanesque stonemasonry in Tyrol. They take their format from Lombard traditions. 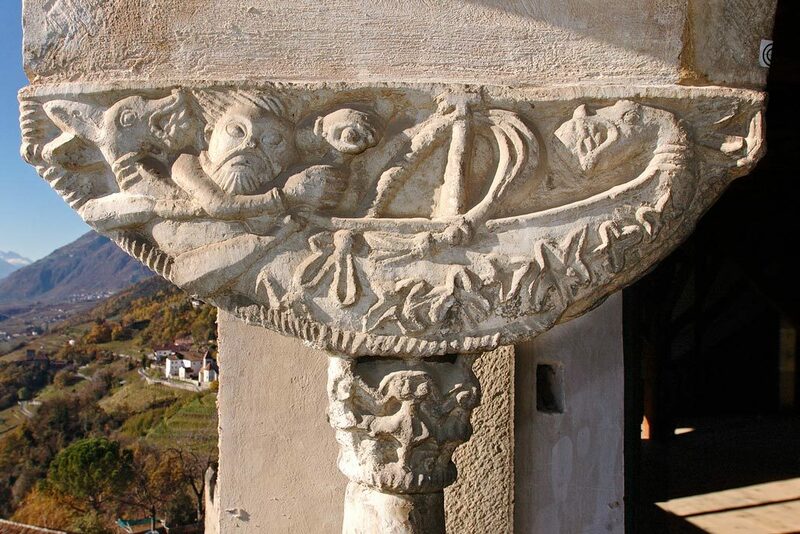 There is an iconographic programme to the carvings on the capitals which convey a deeper meaning, and the room itself becomes the mare saeculi, the “sea of the world”, which threatens to shipwreck even a virtuous life. 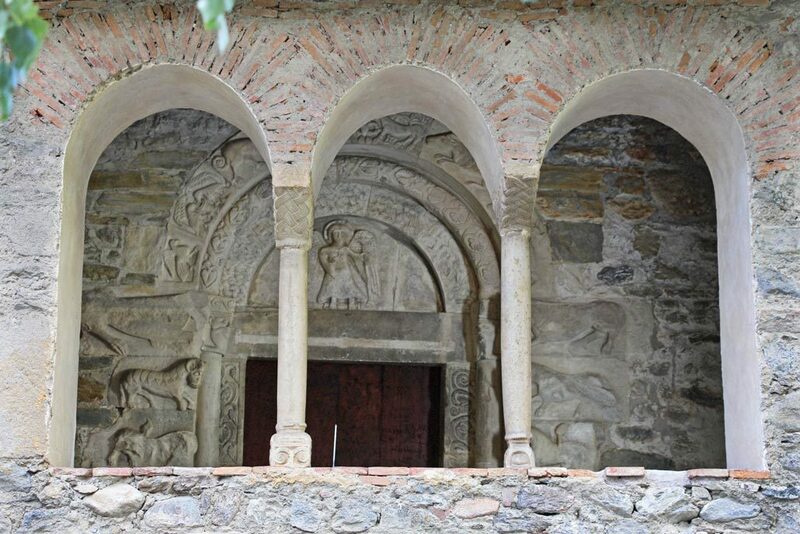 The portals are the most outstanding example of Romanesque architectural sculpture in Tyrol and form the cultural-historical highlight of the castle. There are many questions concerning architectural history bound up in them, which exercise experts to this day. 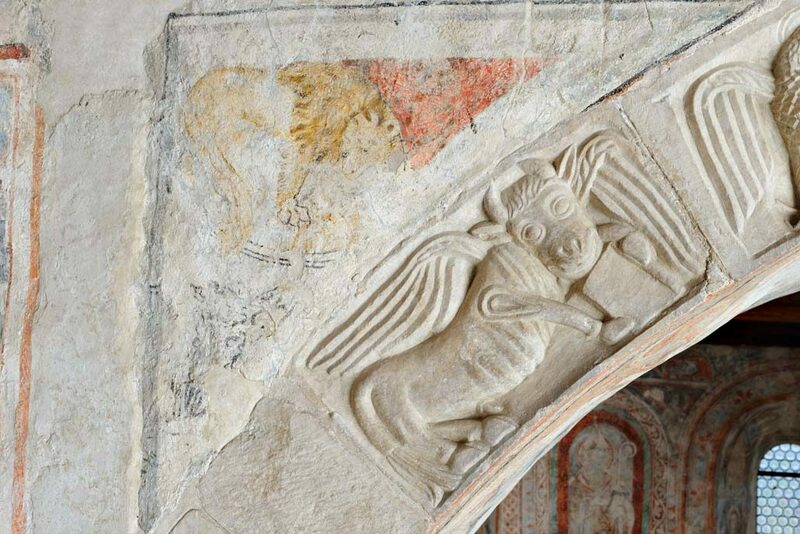 The imagery of the palace and chapel portals, the former in Lasa marble, the latter in marble from Racines, take their inspiration from a wide-spread perception of an animal kingdom interpreted in a human way. You will find mankind’s fall here and his subsequent salvation in the tense conflict between good and evil, with good prevailing. When looking at the portals it is worth keeping in mind the underlying ambivalence in medieval symbolic language. Certain figures and animal or plant symbols can carry a message but also its opposite meaning at the same time. 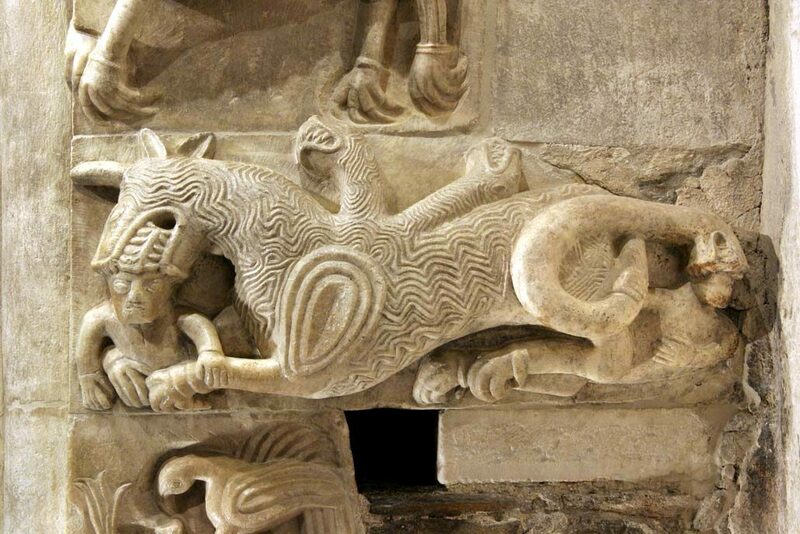 The lion, for instance, can stand for Christ as well as for the Devil. The ivy around the door frames is considered as a plant of eternity, guaranteeing lasting memory. 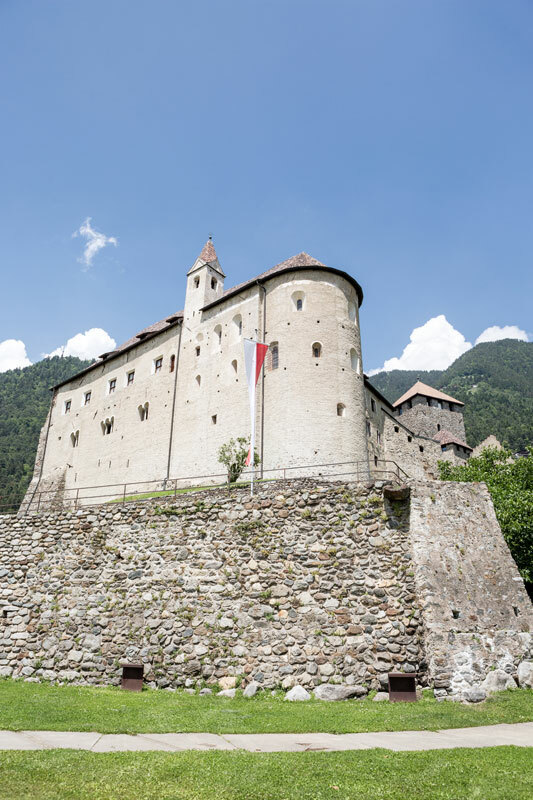 By reason of their excellent state of preservation, the portals of Castle Tyrol are considered to be a special feature, and not just in the Alpine region. 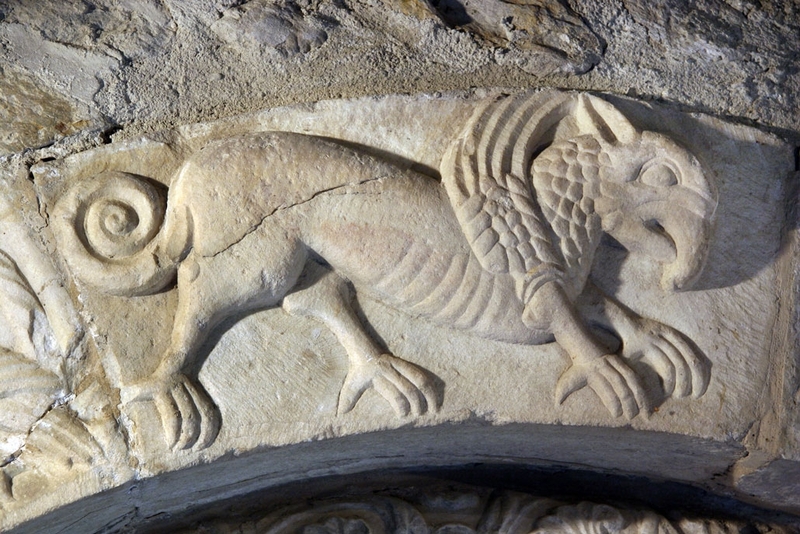 Comparisons have repeatedly been made with the façade reliefs in San Michele in Pavia. St. Pancras, patron saint of vows. 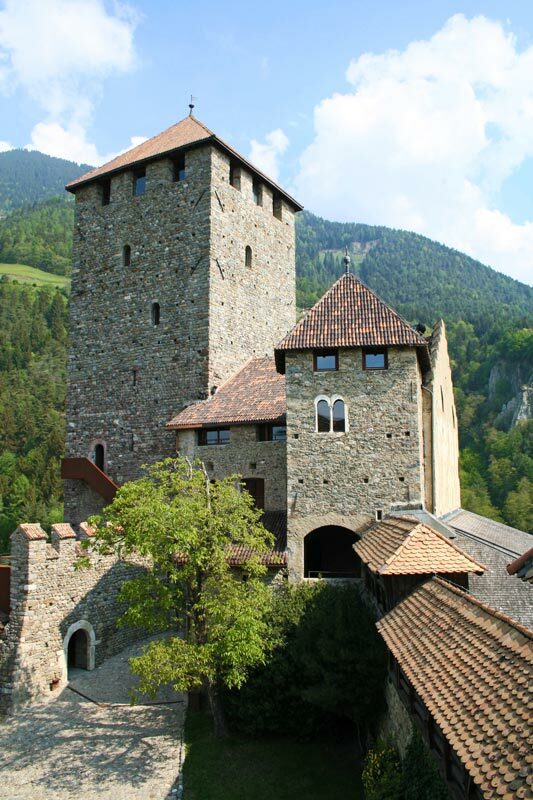 Around 1138 the palace at Castle Tyrol was reconstructed, with a single-storey chapel being built first. The chapel was dedicated to St. Pancras, who was venerated in the Middle Ages as the protector against perjury. 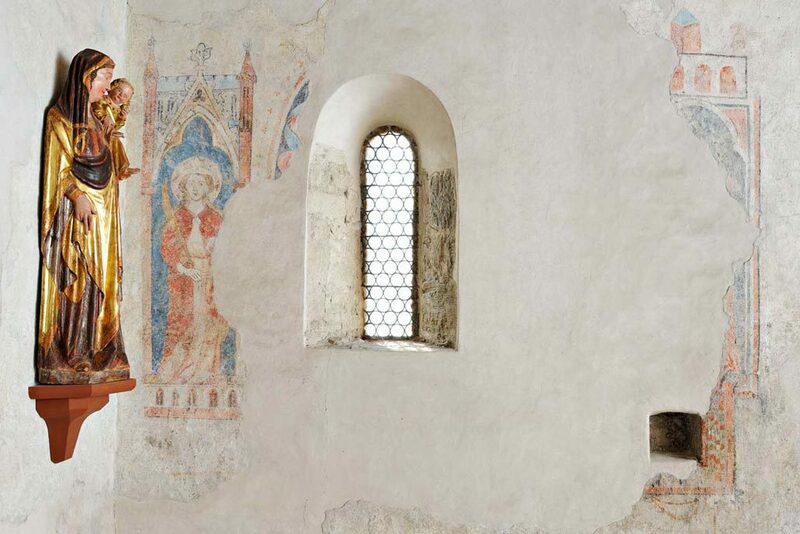 The conversion of the chapel into a two-storey chapel, allowing a separate place of worship for the rulers, happened around 1285 under ruling prince Meinhard II. The feast days of the patron saint and the festivals in honour of the foundation of the church continued to be maintained over the centuries. 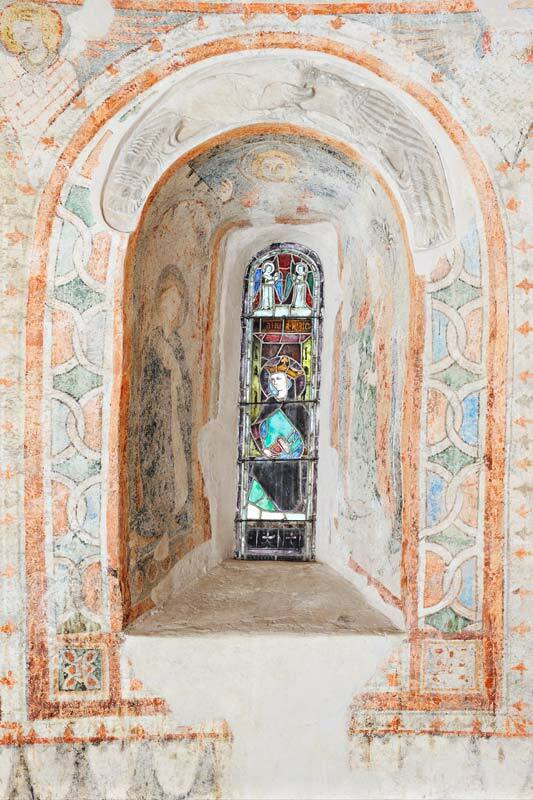 Worth a closer look are the oldest medieval stained glass windows in Tyrol, the Gothic wall paintings and the Romanesque marble reliefs on the triumphal arch. 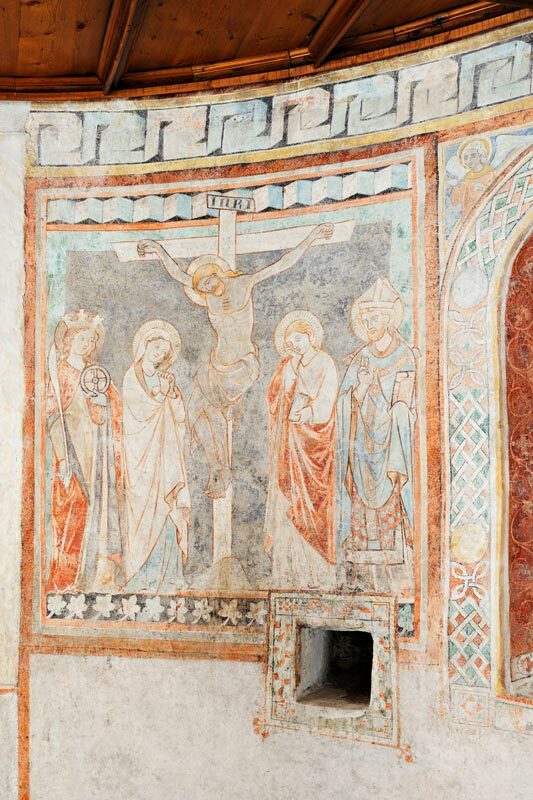 Crucifixion group, around 1330. 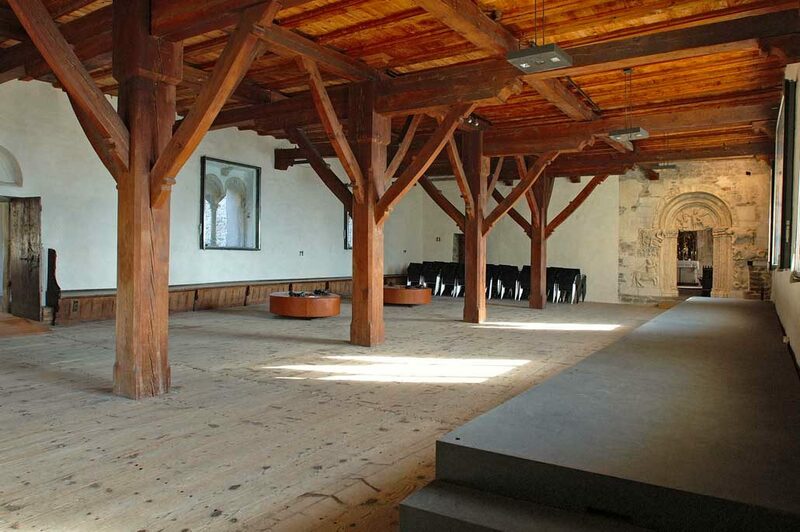 As you enter the chapel, your eyes are immediately drawn to the large crucifixion group. 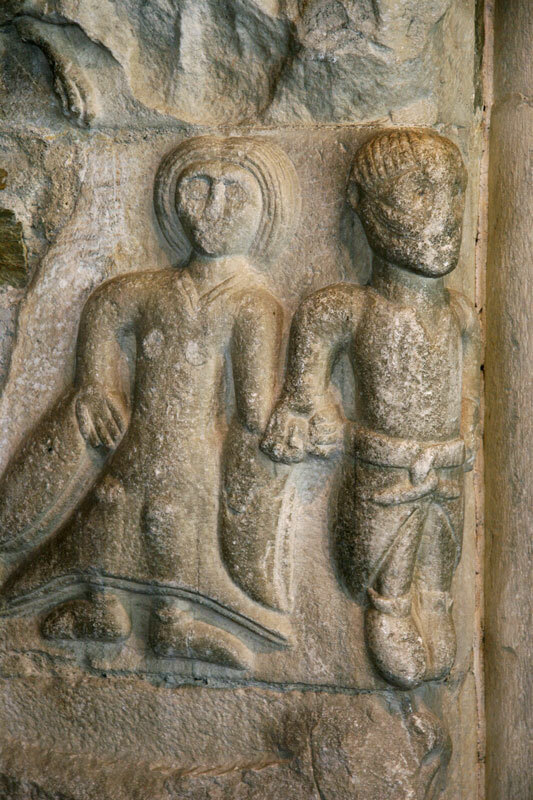 When the group was last restored in 2002, small locally struck coins (a ‘Zehner’ and a ‘Berner’ from Merano, both dating from the late 13th century) were found in the heads of the auxiliary figures next to the Virgin Mary and John. Small offertory coins which the sculptor inserted as a thanksgiving for his successfully completed creation. There is a local legend which says that a piece of the cross falls off at the death of each ruling prince. This “miraculös cruzifix” (miraculous crucifix) was venerated over the centuries of decay by pilgrims and visitors to the chapel as a holy relic. 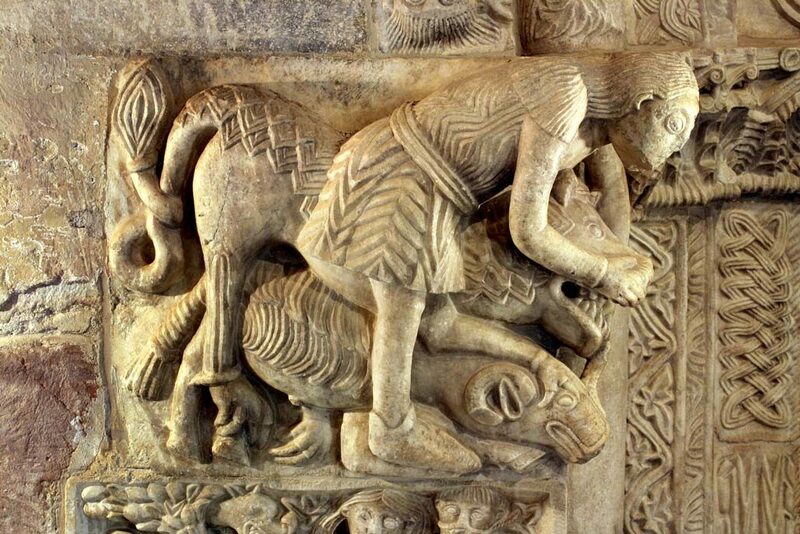 Society in the Middle Ages. 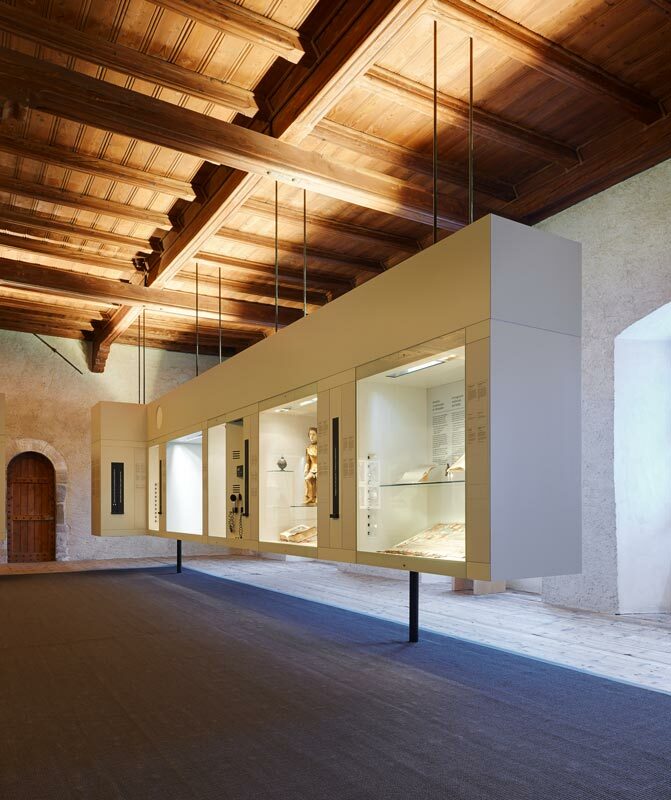 The ruling princes of Tyrol and the four social groupings of the time are treated here in four thematic displays: clergy and piety, nobility and knighthood, urban and rural population, free citizens and peasants. You will find historical background information here about social mobility, questions about concepts of the hereafter and piety, marginalised social groups and economic crises such as might have been caused by natural catastrophes. 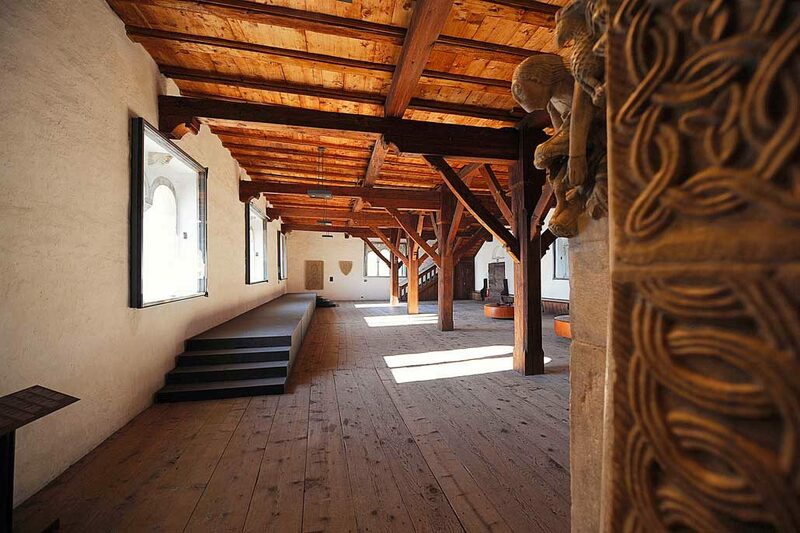 Visitors will experience the Middle Ages through artefacts, sources, and eye-witness testimonies. Helmet from the Seusenhofer workshop and Margarete’s bridal cup. 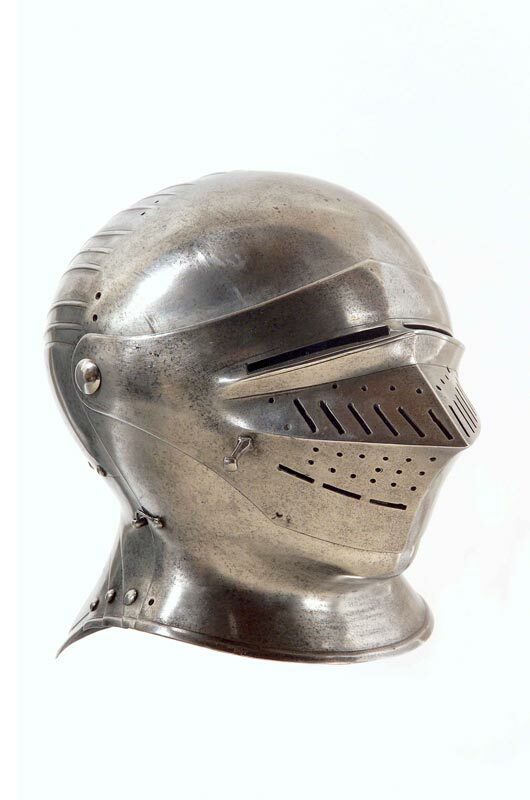 The closed form with its folding visor is typical of a helmet for jousting at the beginning of the 16th century. 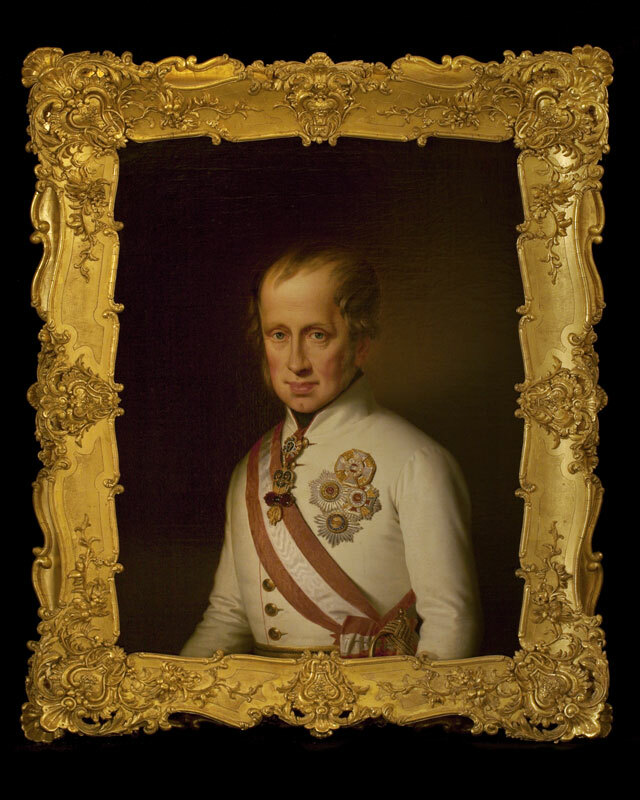 Its elegance and the fine etching show which workshop it came from: Konrad Seusenhofer was court armourer to Emperor Maximilian I in Innsbruck. 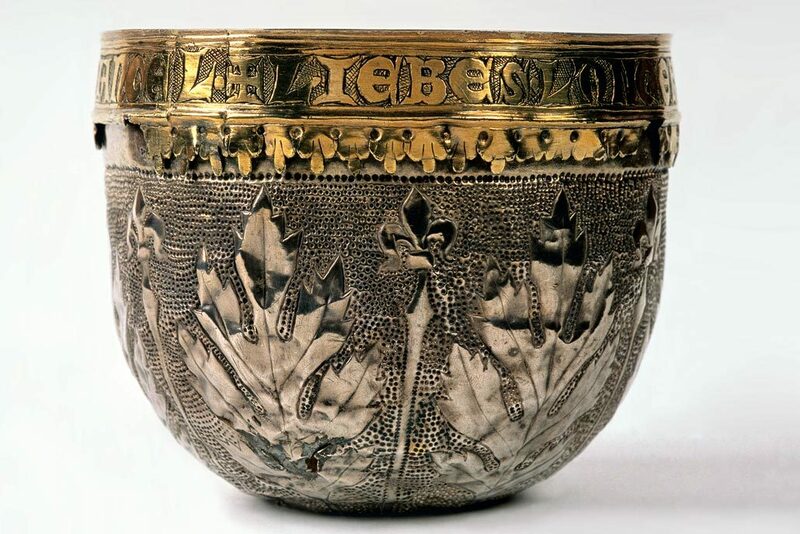 The facsimile of the bridal cup of Countess Margarete partially makes up for the loss of the original cup dating from the 14th century, which was on display here in Castle Tyrol until the early 19th century. 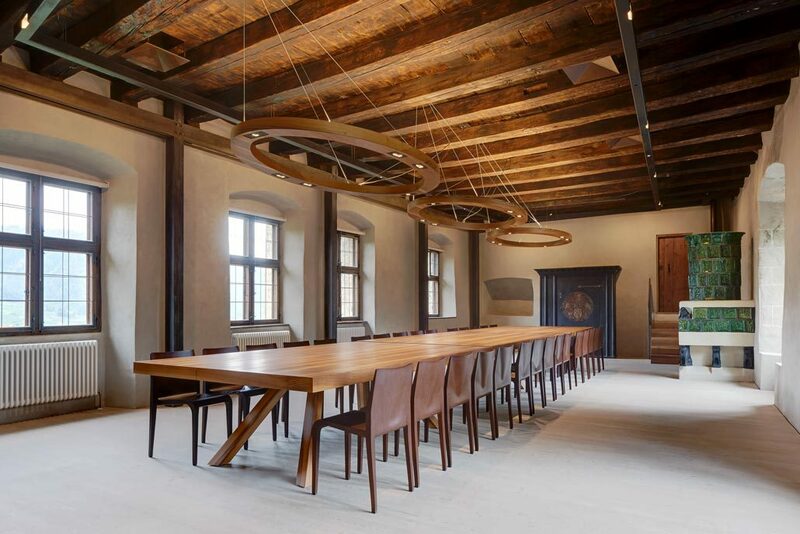 It is now kept in Schloss Ambras, Innsbruck. The Upper Chapel. 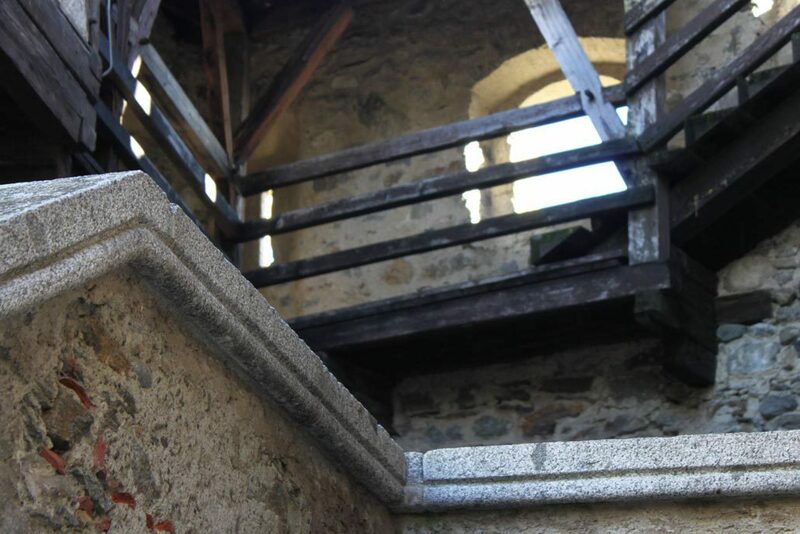 Around 1285 ruling prince Meinhard II had a second storey built over the existing single storey chapel, thereby creating an elevated area reserved for the rulers. It was consecrated on the feast of Elisabeth of Thuringia (1207-1231) (also known as Elizabeth of Hungary), patron saint of charity, and a distant relative of the Counts of Tyrol. 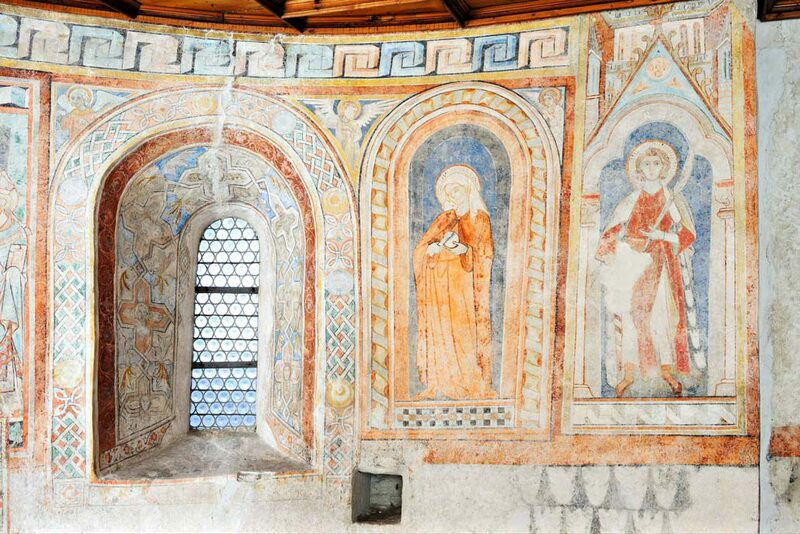 Gothic fresco secco paintings adorn the walls of the Upper and Lower Chapels. 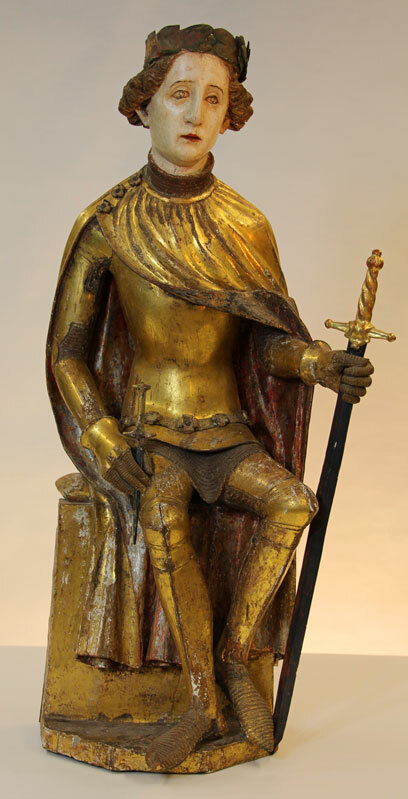 They were completed around 1330 at the time of Ex-King Henry, the father of Margarete. They depict themes which for the most part can be associated with the Virgin Mary, along with representations of saints. 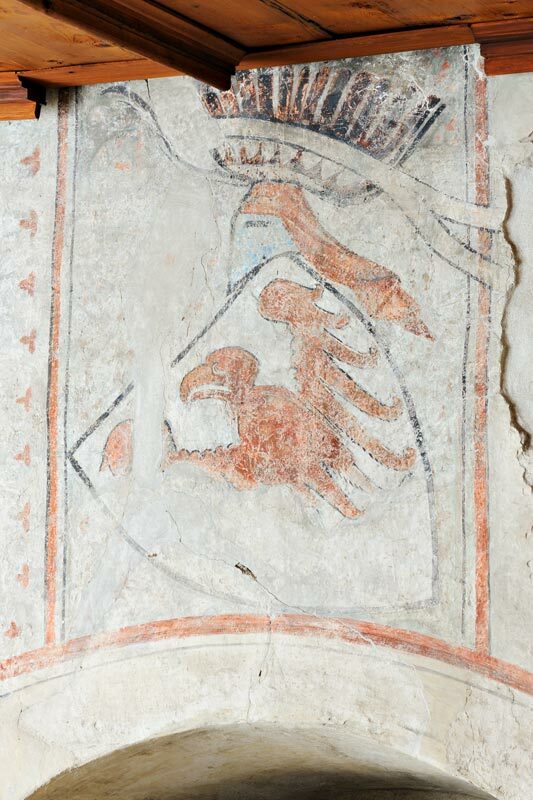 You will also find here the oldest surviving representation in colour of the Tyrolean coat of arms, as well as the coat of arms of the Duchy of Carinthia; Heinrich was de facto also Duke of Carinthia. 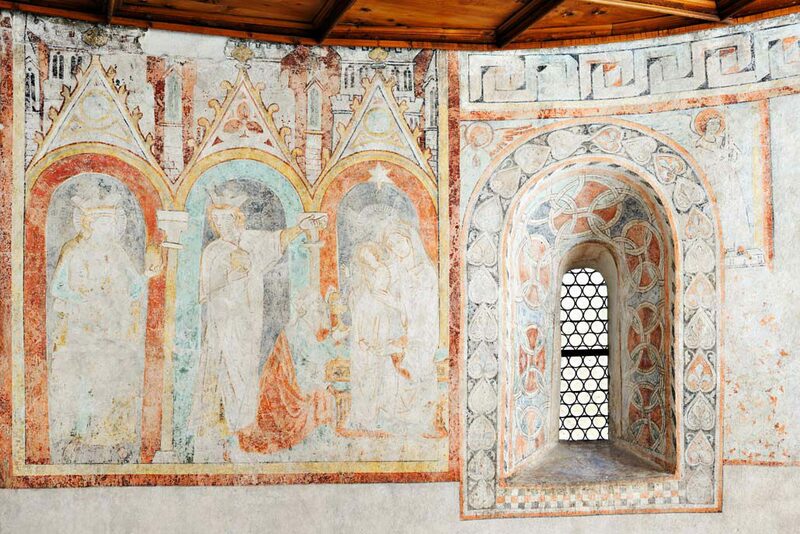 The altar of Castle Tyrol (around 1370). 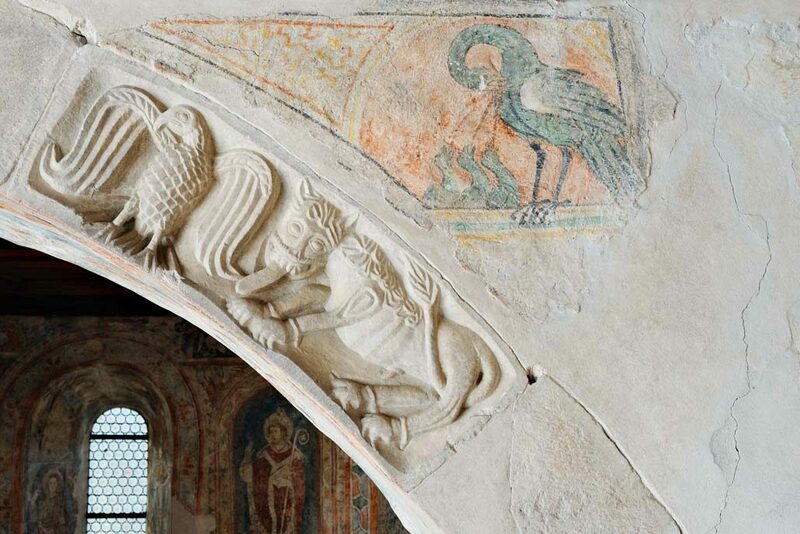 The oldest surviving winged altarpiece in the Alpine area was donated by brothers Leopold III and Albert III around 1370 and produced in Vienna. The two members of the Habsburg dynasty are portrayed kneeling with their wives in the classic donor pose on the outer wings. 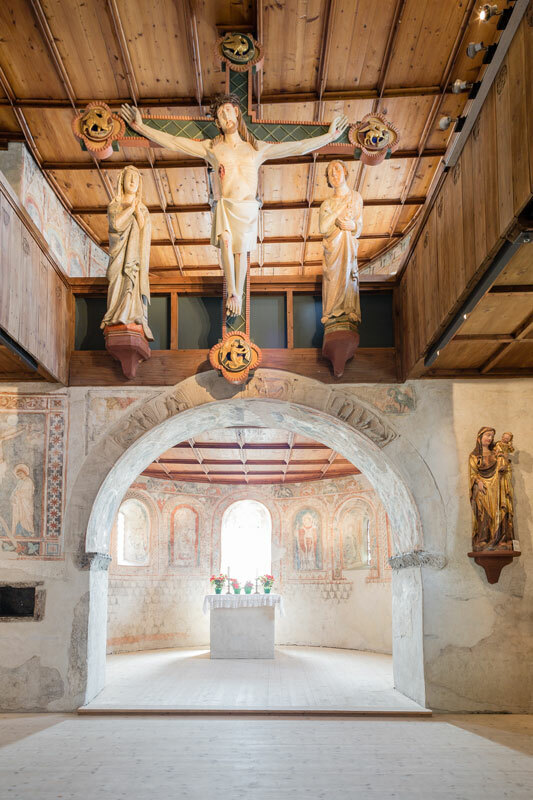 The original has been kept in the Ferdinandeum, the Tyrolean State Museum in Innsbruck, since 1938, but this faithful copy stands in its original place on the altar and was completed in 2001 by the Unika Group in Ortisei, Val Gardena. With the wings open, six scenes from the life of the Virgin Mary are revealed, including the Annunciation, the Birth of Christ, the Adoration of the Magi and the Death of the Virgin. Law and order. 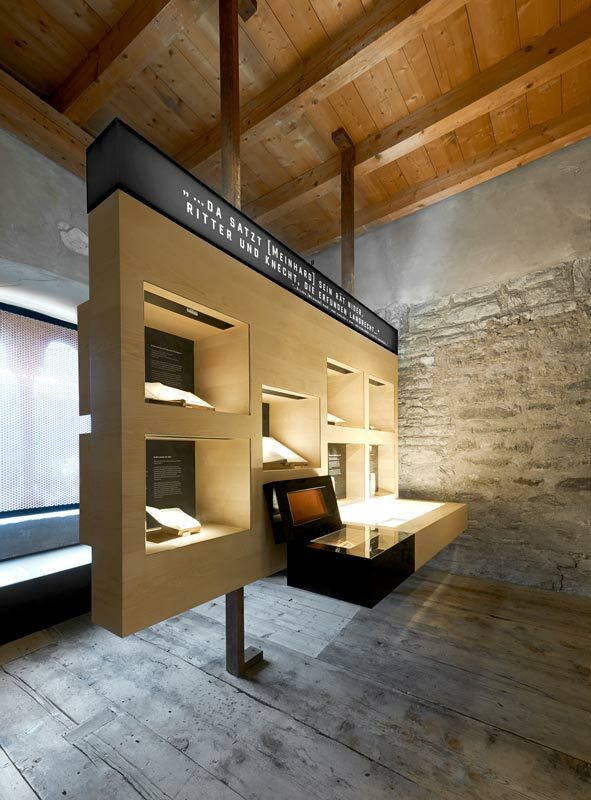 In the so-called “turris parva”, which used to be the bell tower of the chapel, there are thematic displays on Tyrolean laws and the independent path of Tyrol in the administration of justice along with the fragment from the Meinhardine Legal Code (1286). 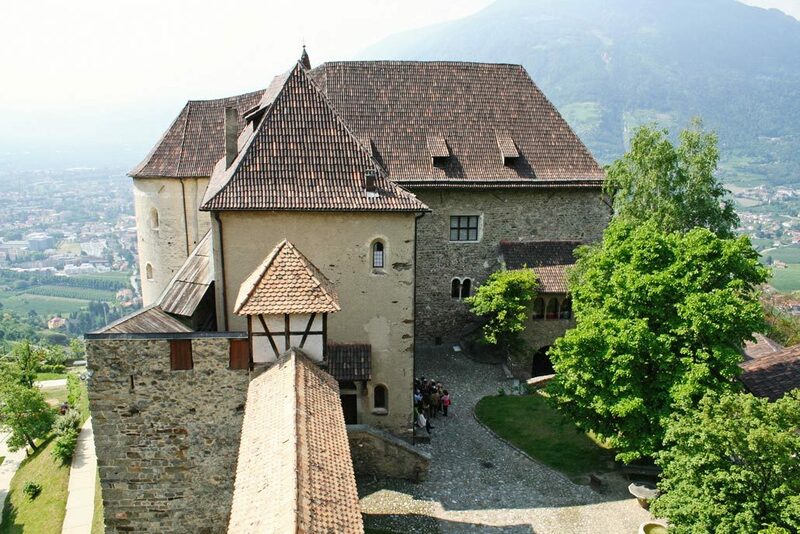 Castle Tyrol’s extensive coin collection (around 140 items) is stored in a safe with ten drawers. 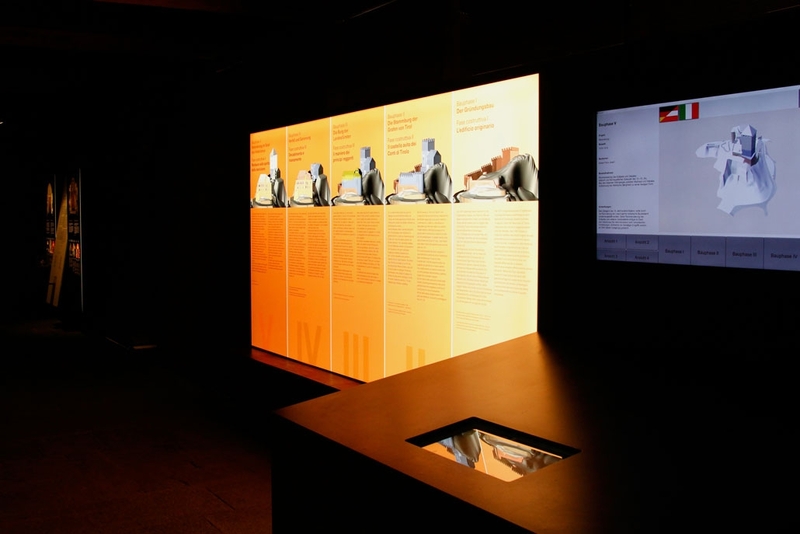 Five large-scale reproductions provide additional information, giving visitors an insight into the world of numismatics. The economy, law, order and defence make up the “red thread” of the museum tour in the East Palace. The Hammer of the Witches and the mask of shame. 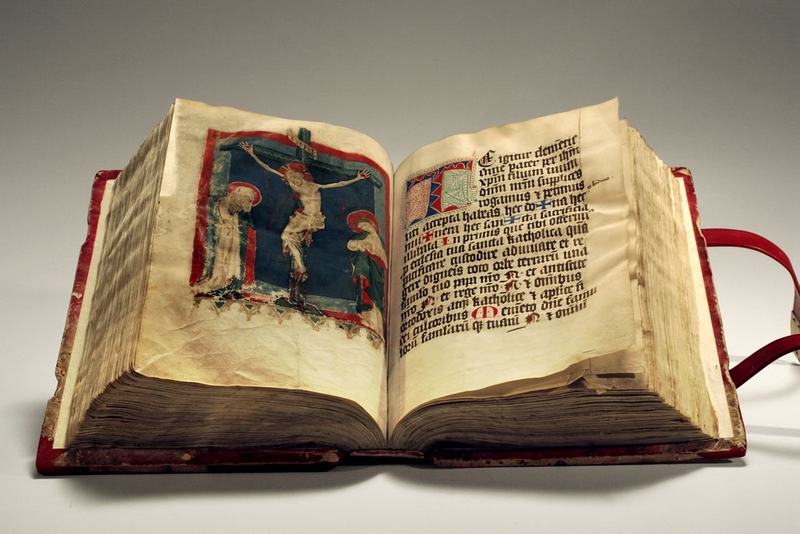 The medieval system of law was precisely codified. 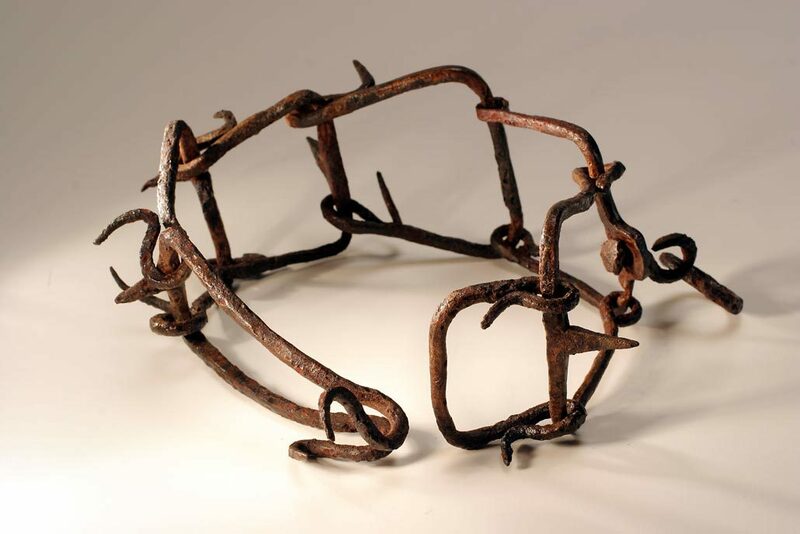 There was a prescribed punishment for every crime committed: the worse the crime, the harsher the punishment, and the death penalty was not infrequently imposed. In 1484 Pope Innocent VIII published his papal bull against witchcraft which formed the legal basis for the persecution of witches. Heinrich Kramer’s book “Malleus Maleficarum”, The Hammer of the Witches, appeared three years later. The last witch to be beheaded and burned in Tyrol was in 1722. 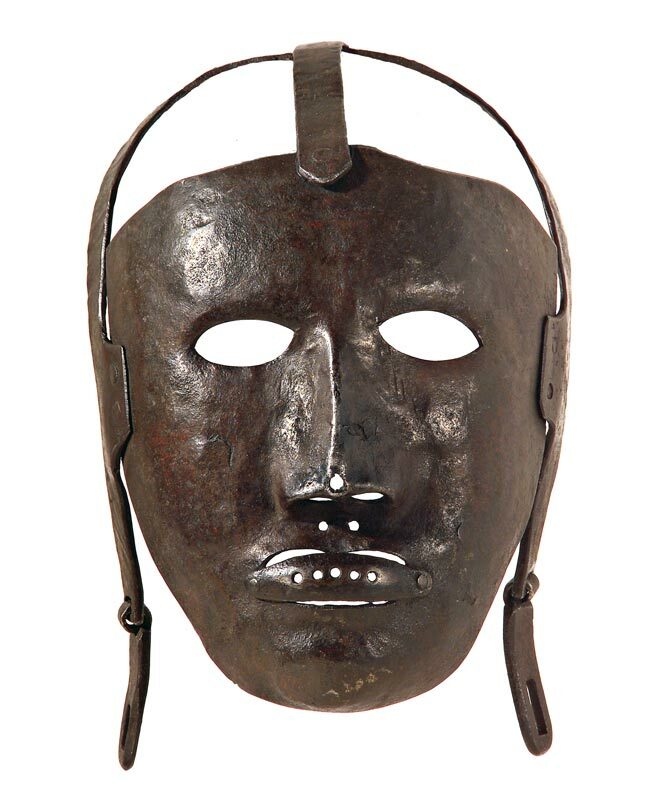 The punishment for smaller crimes was public humiliation, for example by being forced to wear a “mask of shame”. The Burgrave’s Hall in the third storey of the East Palace maintains its original features. The beam ceiling and the fragmentarily preserved surfaces of the walls with depictions of coats of arms date from the 13th and 14th centuries. In the Middle Ages the East Palace included the bowers or boudoirs, the heated apartments set aside for the ruler’s family. 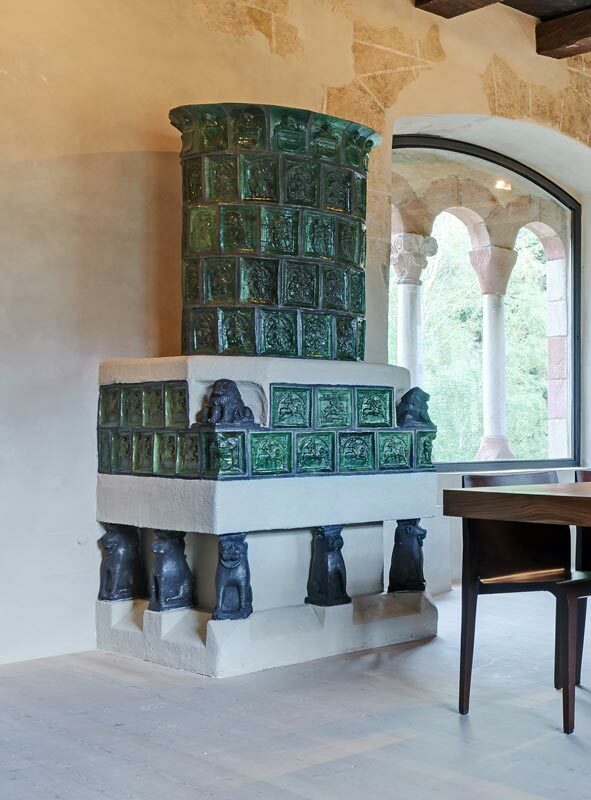 The centrepiece is a green-glazed tiled stove with reliefs, dating from the 15th century, purchased on the open art market. Nowadays the Burgrave’s Hall is used for conferences and meetings. The room can be hired on application. 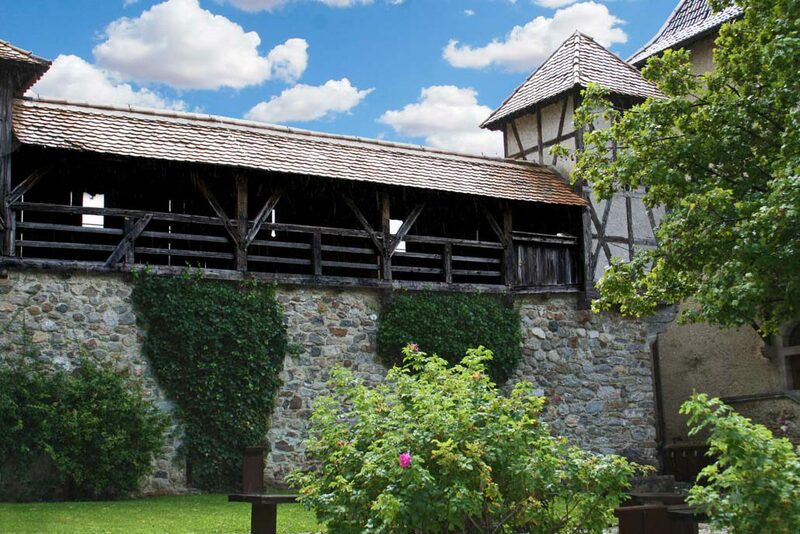 The covered walkway along the battlements, closed to the east, was constructed at the beginning of the 20th century to provide a link between the East Palace and the Refectory which lies to the north. 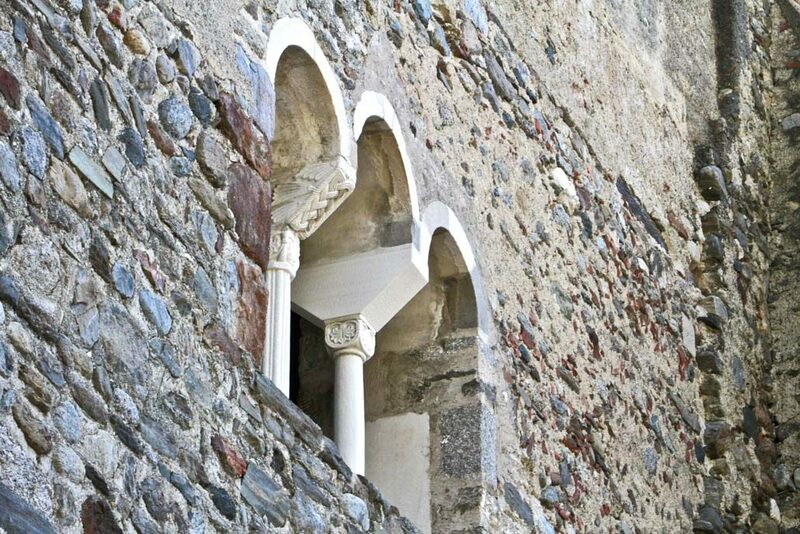 The buildings, including the sleeping quarters, which originally occupied this section of the curtain wall, had largely collapsed by the early modern period, and derelict sections had to be demolished for safety reasons. 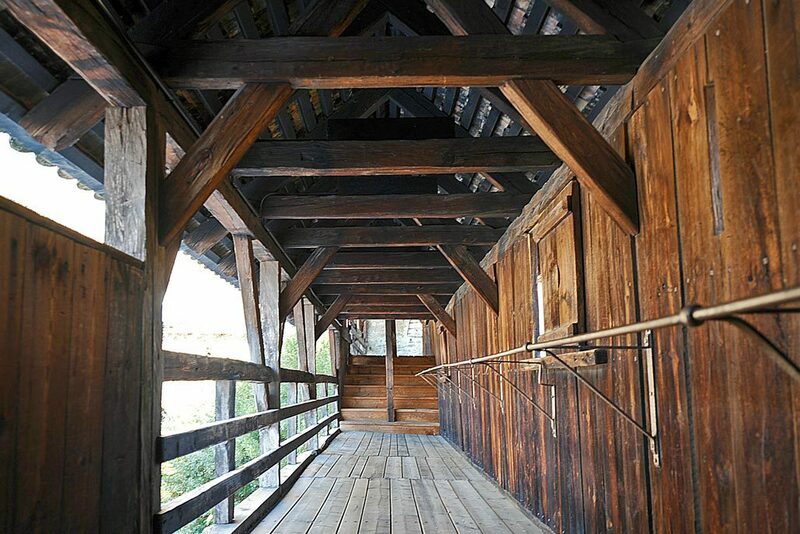 There are small openings in the walkway which offer impressive panoramic views over Tirolo. Our younger visitors can act out the role of a castle watchman and blow the alarm horn. A ruin as a national sanctuary. 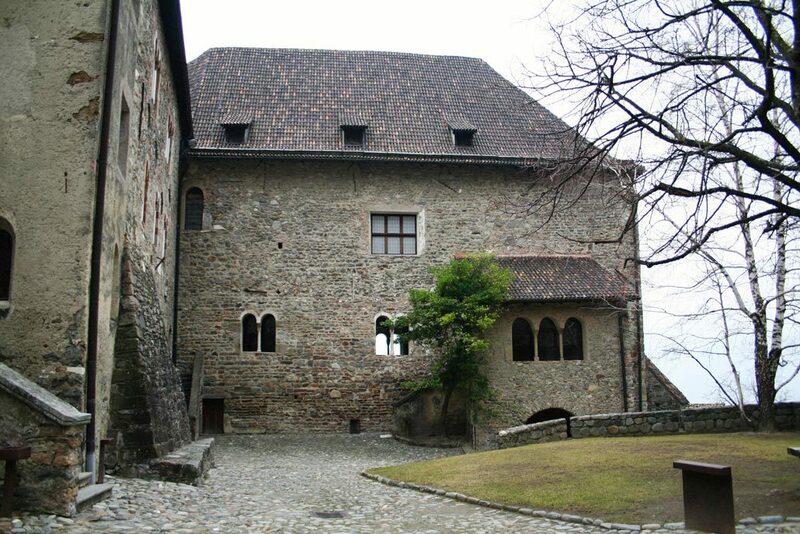 Castle Tyrol became a national monument in the 19th century. 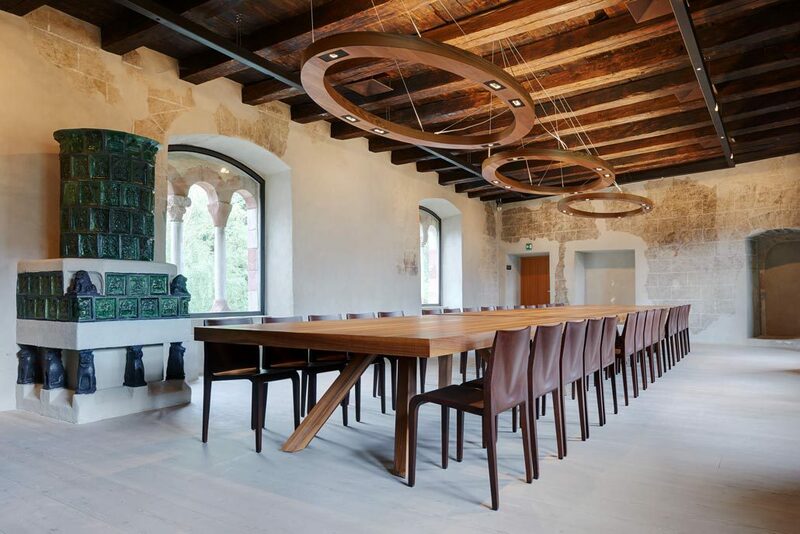 The themes of the castle as “Heiligtum des Landes”, the mythical “sanctuary of the land”, the story of its restoration, the castle as a motif in art and literature and the Visitors Books are all dealt with in the Refectory. Travel books of the time and Tyrolean landscape paintings bear witness to the growth of tourism and the increasing interest in the castle. 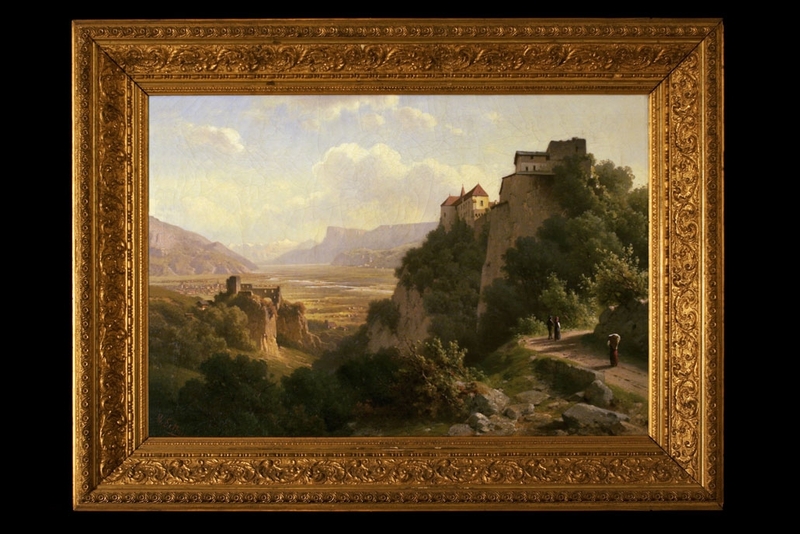 The view from Castle Tyrol over the Adige Valley became a favourite theme for landscape painting. 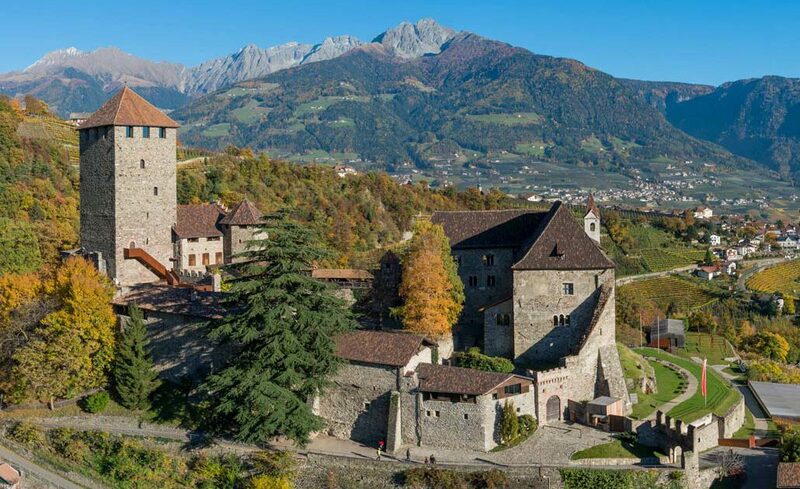 When Tyrol fell to the Austrian Empire in 1816, the citizens of Merano donated the castle to Emperor Franz I. 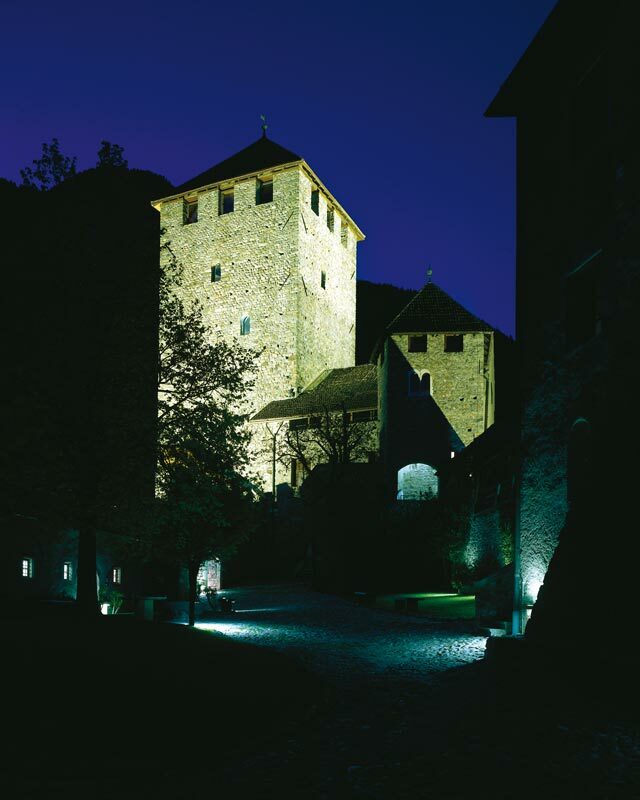 This led to the status of the castle being raised to “Kaiserburg” – “Imperial Castle”. 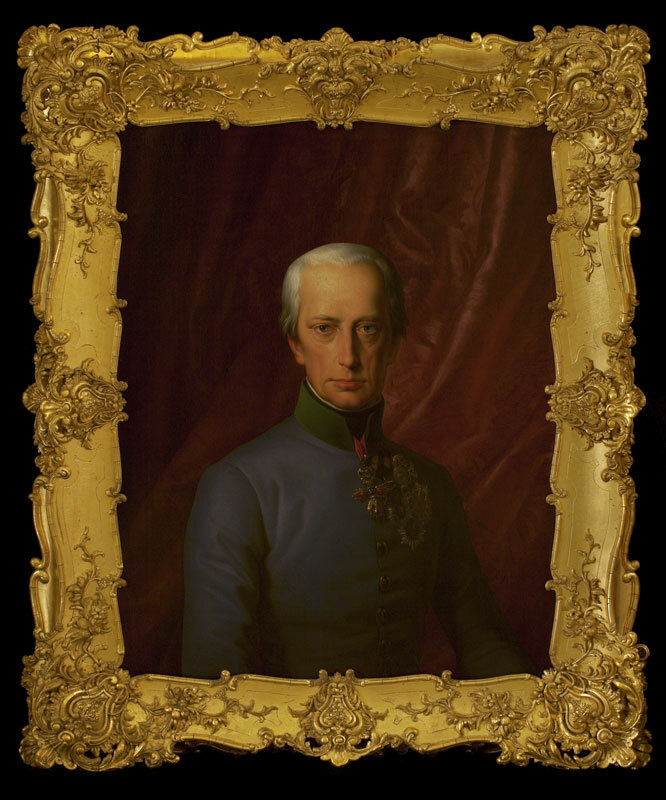 To this day you will find portraits of three of the Habsburg emperors in the Refectory. 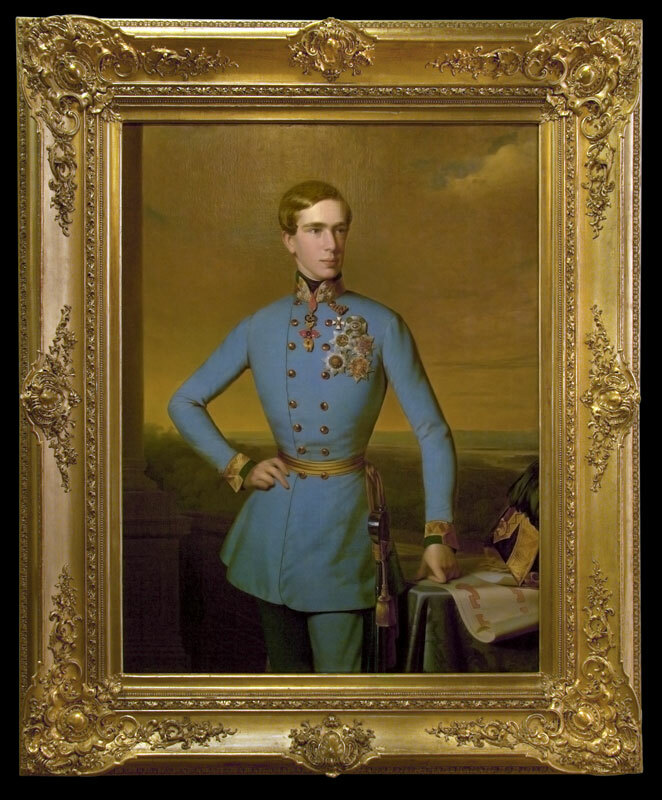 Emperors Franz I and Ferdinand I personally visited the castle in 1832 and 1838 respectively. 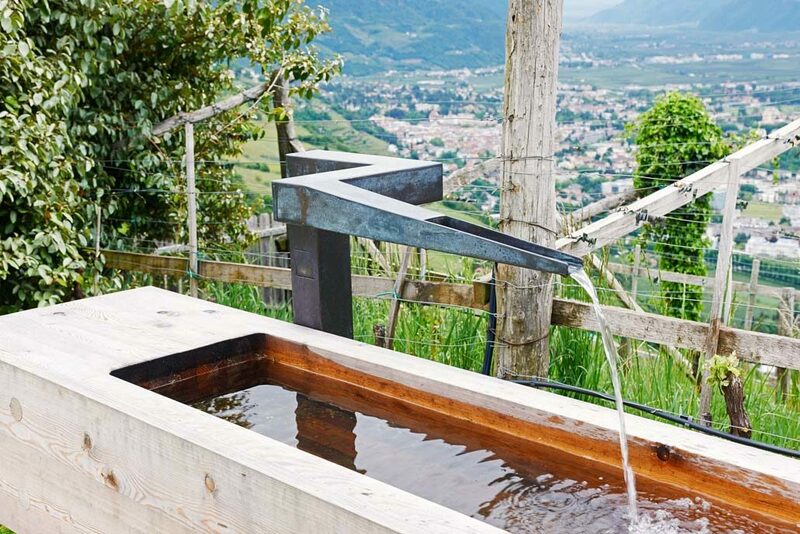 Daily life in Castle Tyrol. How heavy was a knight’s helmet? 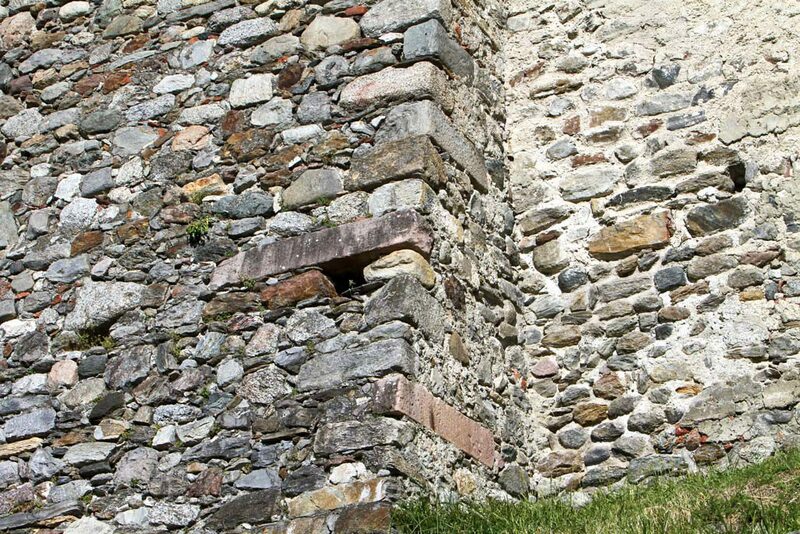 What did a watchman at Castle Tyrol look like? 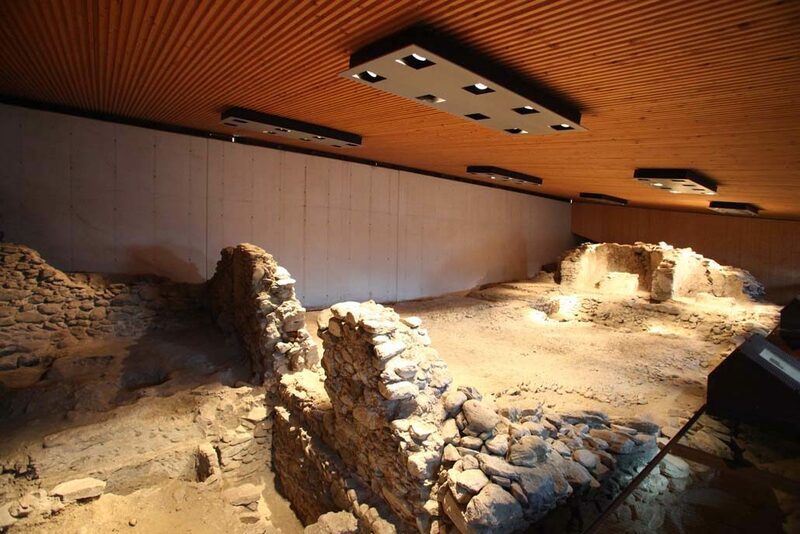 Starting from the archaeological discoveries made in the Inner Bailey and the detailed listing of named persons in the familia domus (1292-1298) who were in the service of the ruling prince Meinhard II, it is possible to reconstruct daily life in the Middle Ages in Castle Tyrol. In this part of the museum tour, children and families are invited to learn more about the items on display in the museum in an educational activity: a fun search for clues. 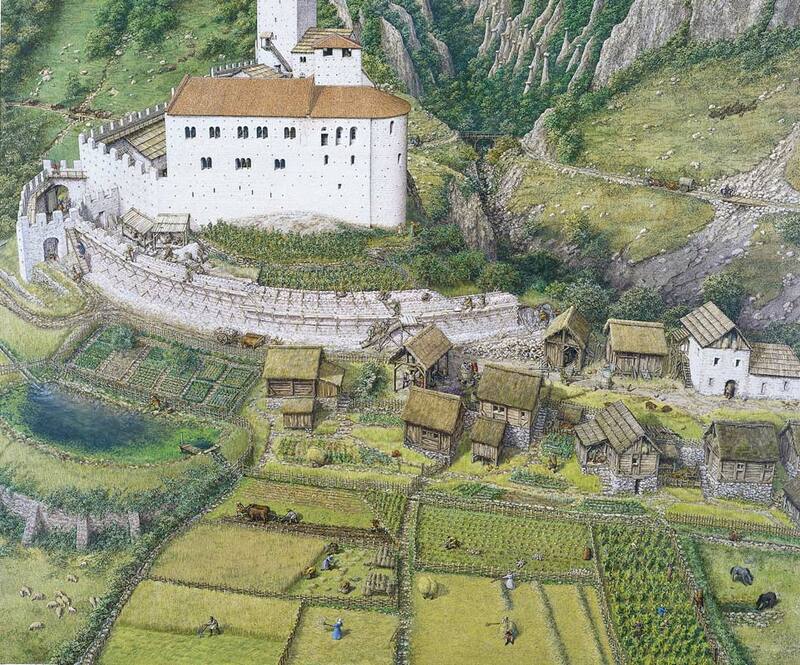 In close collaboration with architectural researchers and archaeologists, the Swiss illustrator Jörg Müller has made a visual reconstruction of medieval life in Castle Tyrol. 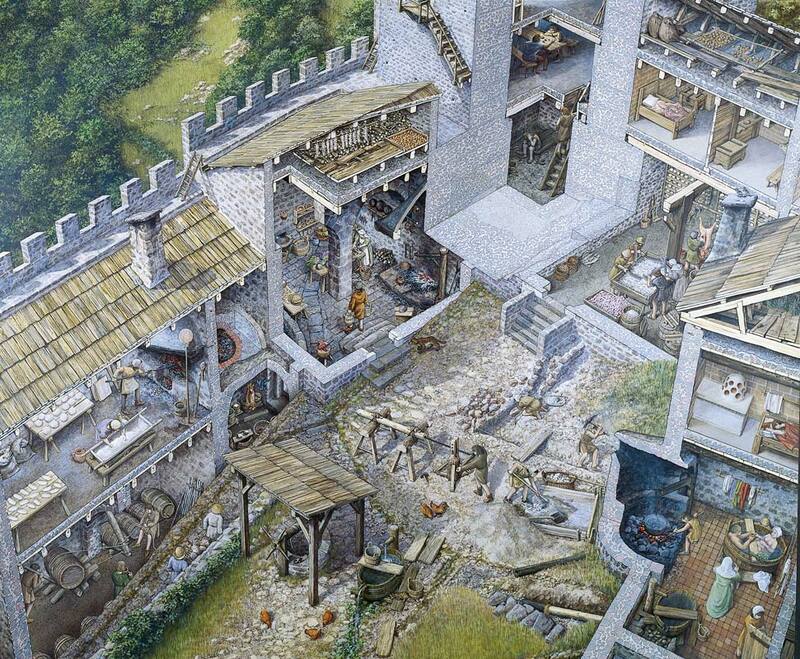 Each individual room in the castle is filled with life. 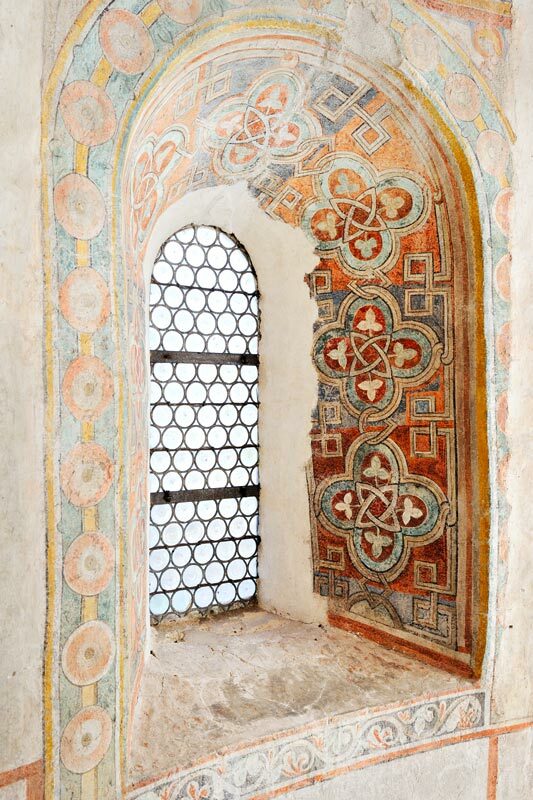 Visitors both young and old will be able to lose themselves in the crowded images full of intricate details and imagine themselves back in the Middle Ages. The magnificent Keep owes its current form to the reconstruction which took place at the beginning of the 20th century. 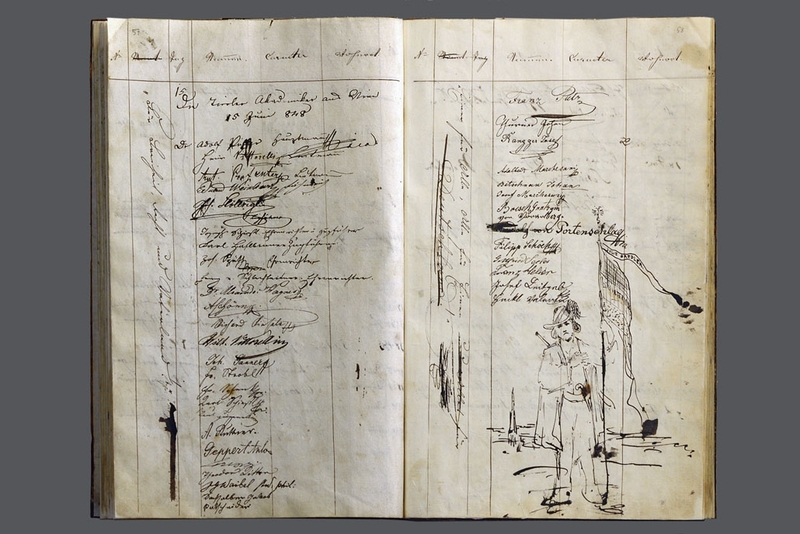 The plans for this work were developed by castle expert Otto Piper. 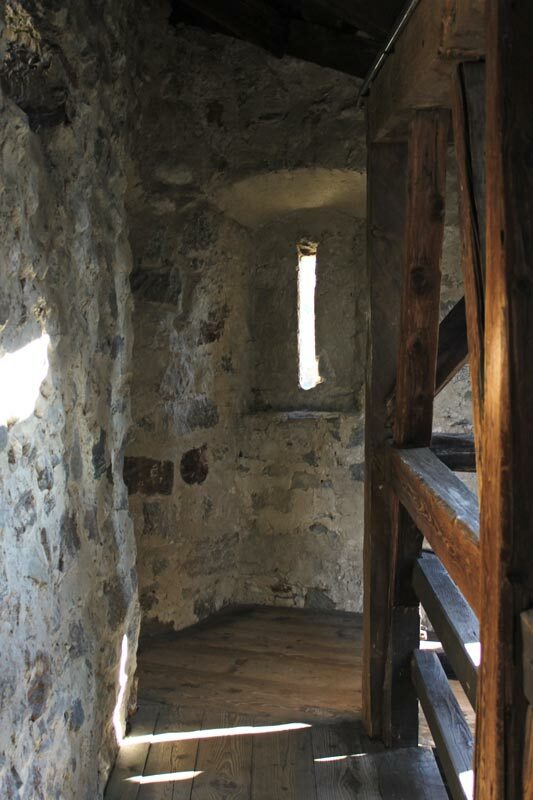 The medieval Keep has only been preserved as far as the third floor. 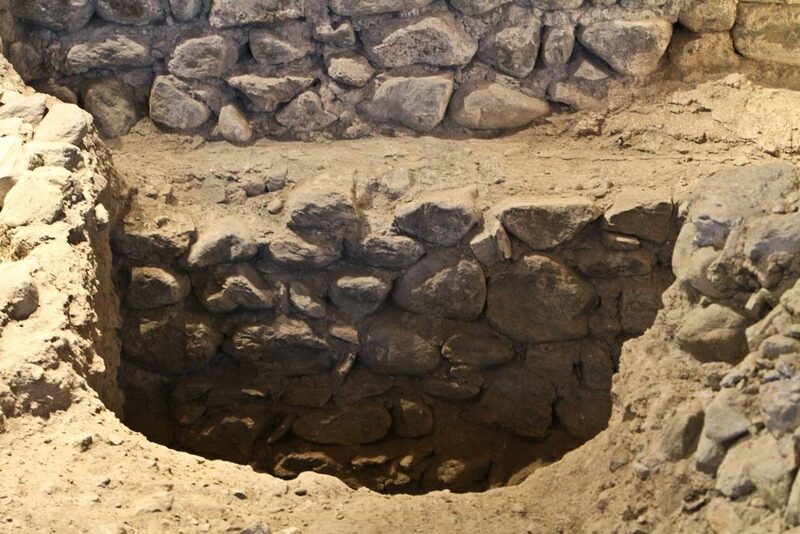 There are no pictorial or written records in existence to tell us what it looked like originally. 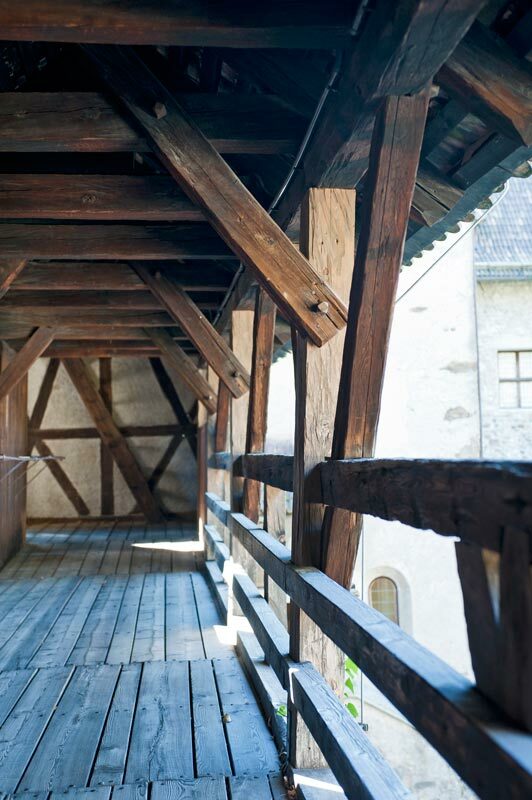 However, with its single, elevated entrance at second floor level and its narrow horizontal slits for windows, the tower possesses all the hallmarks of a medieval fortified tower. The castle dungeon is in the lower floor of the Keep. Even though imprisonment here was viewed as too harsh as early as the 16th century, this dark space was still in use in the following centuries as the prison of the rulers’ manorial court.